Cristina has been Mundo Verde’s dedicated Executive Assistant since 2014. She previously served as the Volunteer Assistant to the Advisor for International Families at Stanford University for 2 years, coordinating the Programs for International Families. She is an active member of the Parent Association in the school where her children attend and is a strong believer that parent participation, staff and teacher leadership, along with good communication among all school members, are central element to the experience of a child’s education and the achievement of the school’s goals. Cristina was born and raised in Mexico and has been in the DC area since 2009. She holds a bachelor’s degree in Business Administration. 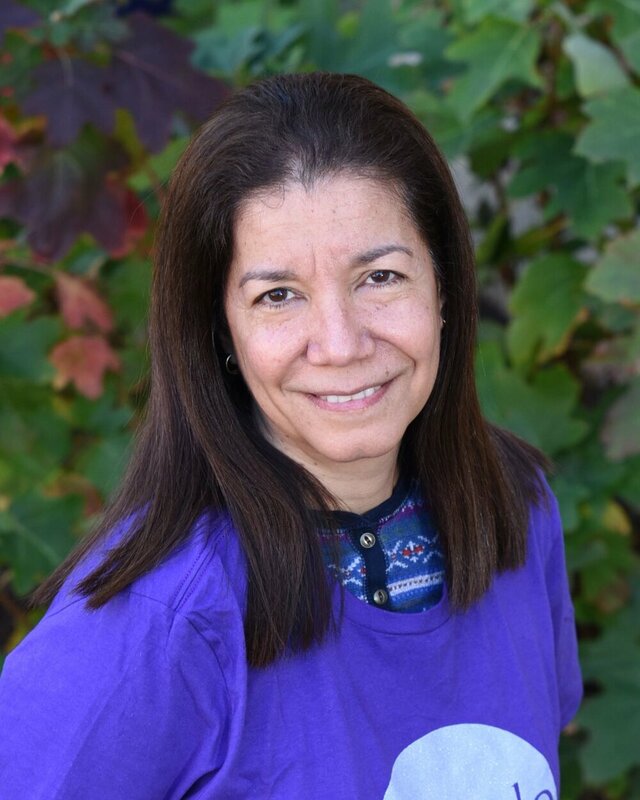 Dahlia brings to her role as Mundo Verde’s founding principal over 20 years of school leadership and instructional experience in bilingual elementary and high school education. She has worked for over ten years to strengthen the practice of teachers and leaders in public and public charter schools with multicultural and multilingual student bodies. 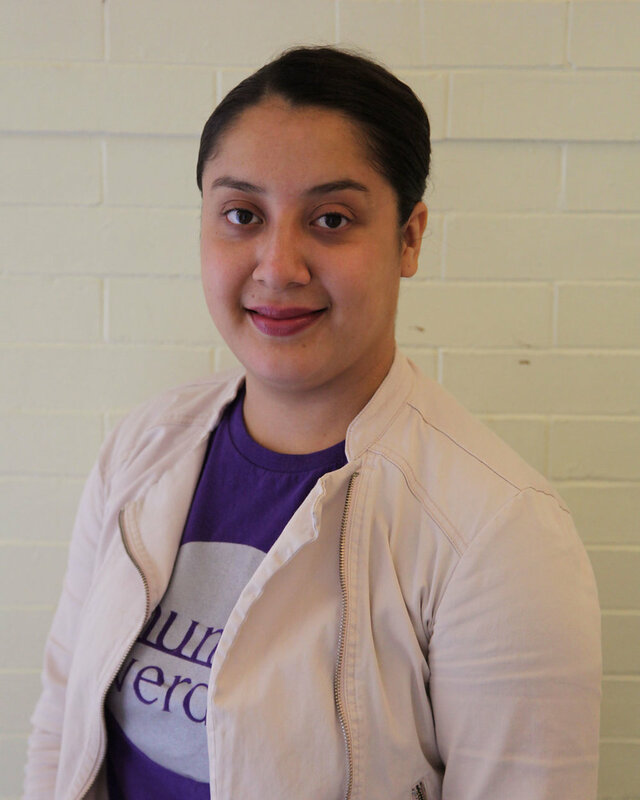 Dahlia came to Mundo Verde from her position as Assistant Principal of Columbia Heights Educational Campus (CHEC), a grades 6-12 Early College Campus. In her seven years at CHEC, Dahlia led the development of a professional learning community of teachers and other school staff to support, push and create effective practices among CHEC’s teachers. She worked with teachers across content areas and grade levels, using various tools of observation and feedback. Dahlia was simultaneously CHEC’s World Language Chair, responsible for oversight of instruction, curriculum development and assessment of world languages for grades 6-12. In this role, she successfully transitioned what was a traditional foreign languages program to an immersion program; in 2010 she helped launched the school’s first ever dual immersion middle school program. Dahlia’s teaching career began 18 years ago in early child development and early elementary programs – she taught pre-kindergarten and kindergarten in both bilingual immersion and English as a second language programs in District of Columbia public schools. More recently, Dahlia served as the Director of Teaching and Learning for the National Council of La Raza, where, among other things, she designed professional development for educators serving Latino student populations nationally. Dahlia is an alumna of Teach for America and a former New Leaders for New Schools Fellow/Principal Resident. She earned her B.A. in English from Georgetown University, her M.A. in secondary education from Texas A&M University and her M.S. in educational leadership from Trinity University. Dahlia is fluent in Spanish. Dahlia lives in Washington, D.C., is a member of Mundo Verde's founding board, and has a child who attends Mundo Verde. John joined Mundo Verde in the spring of 2014. Prior to coming to Mundo Verde, he was the Chief Operating Officer at Capital City Public Charter School. He also served as the Founding Director of Finance and Operations at KIPP Central City Academy in New Orleans, and worked for three years at Hyde Leadership Public Charter School in DC. John has his MBA from Elon University in North Carolina and his Bachelor of Arts in Adventure Education from Prescott College in Arizona. Kristin Scotchmer is the lead founder and executive director of Mundo Verde. 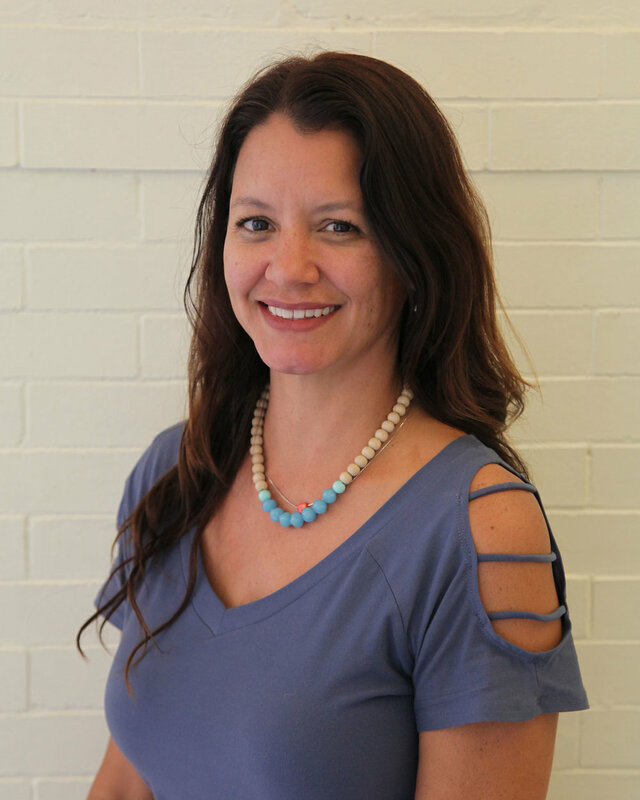 She is passionate about Mundo Verde's vision and has substantive knowledge of Mundo Verde's philosophy, educational design and curriculum, as well as its operations and management. Kristin brings more than seventeen years of professional management, governance and volunteer experience with nonprofit organizations, including expertise in management, board development, strategic planning and fundraising. She has considerable experience strengthening the capacity of small community-based organizations working to create change in the Washington, D.C., region, nationally and in Mexico. In five years of managing donor-advised grant making at the Community Foundation for the National Capital Region (CFNCR), Kristin developed the rationale and internal consensus for the foundation to formally launch a new service: Philanthropic Advisory Services. Having conceptualized and carried out its implementation, she led CFNCR's team of philanthropic advisors, directly managing $3.2 million in annual grant making and supervising teams across CFNCR departments and its affiliates and customer service teams to implement best practices in donor education, grant making and nonprofit capacity building. Results include facilitating and carrying out a major realignment of a private foundation's $1 million in grant making. In her former position as Mosaica's director of organizational development, Kristin directed, designed and implemented a variety of consulting projects to strengthen the governance, management and programs of nonprofit organizations. She was also a member of Mosaica’s management team and held senior responsibility for the organization's fundraising, management and administrative functions. Kristin has completed coursework toward an M.A. degree in Latin American studies from the University of Texas at Austin and has a B.A. degree in political science and Latin American studies from the University of Chicago. Kristin lives in Washington, D.C.'s Petworth neighborhood and has two daughters. Míchelle is excited to continue at Mundo Verde in a new leadership role as Assistant Principal, after two years as a master lead teacher. She has five years of teaching experience. She is a certified elementary teacher in the state of Illinois and has previously taught 2nd grade and kindergarten, and spent the last three years working at a STEM magnet elementary school, which focused on inquiry-based learning and empowering students to think critically. 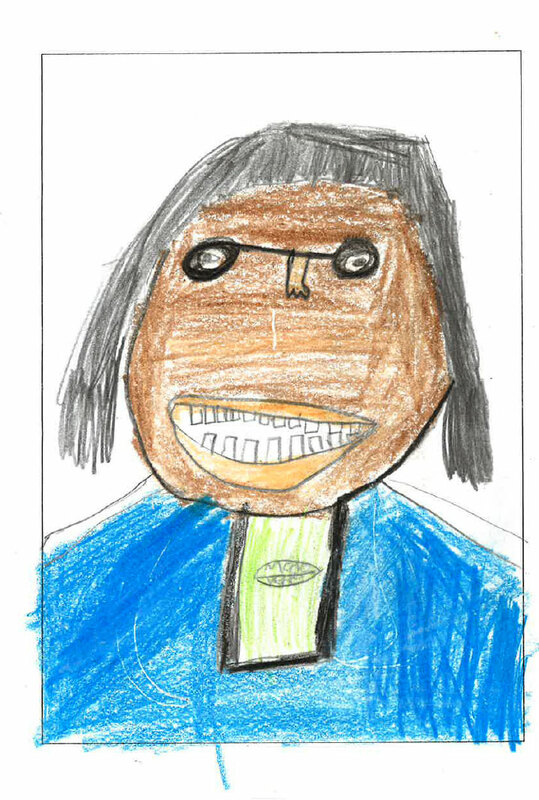 Míchelle enjoys cooking and reading, and is passionate about the integration of social-emotional learning and academic content to serve the whole child. Originally from Champaign, Illinois, Mi’chelle has a bachelor’s degree in elementary education and Spanish from Illinois State University. She has also studied in Santiago de los Caballeros, Dominican Republic. Robyn is a highly effective educator with a portfolio of strategic leadership in student academic achievement and character development as well leadership in local educational reform. In 2001 Robyn began her career in education as a member of the first cohort of educators trained by The New Teacher Project – DC. She joined her first Expeditionary Learning school in 2005. Robyn has worked in and with schools in Washington, D.C., New York, and Boston. Along with experience in teaching and curriculum development, Robyn has extensive experience in the supervision of educational programs, budget management, and leading professional development. She also taught Education Psychology and Adolescent Development as an Adjunct Lecturer at Hunter College in New York. Robyn is very excited to continue her work in education as the Director of Operations at Mundo Verde and support the efforts to provide every student here with a high-quality education. While Robyn considers Washington, DC home, she grew up in Richmond, VA and attended Duke University (BA), Georgetown University Law Center (JD), and George Washington University (M.Ed). Michelle has over 20 years of experience as a project manager in the non-profit sector and brings 6 years of specialized experience organizing urban summer camp programs. She has previously worked as Associate Director of Out of School Time and Extended Learning at Center City Public Charter Schools, and as program analyst for the U.S. Department of Education. She currently serves as a Leadership Team Member for the Inspired Family Association at Inspired Teaching Schools. Adriana has been working at Mundo Verde as an assistant in food service since 2014. However, she has been part of the Mundo Verde family since 2012, as a mother of two students. Prior to Mundo Verde, she worked at the company Edible Arrangements for 6 years. In her free time, Adriana enjoys spending time with her family and attending her sons’ Mundo Verde soccer team games. She is originally from Mexico. Joe brings over five years of experience in education and four years in operations and management to Mundo Verde. He most recently worked as an independent tour guide in Washington, D.C. while also working as the General Manager of National Pedicabs. His recent most education experience includes five years of teaching in the Hebrew school program at Adas Israel Congregation. When he is not at Mundo Verde, he is often busy exploring DC and learning the city’s history, riding and working on his bike, and practicing the four chords he knows on the mandolin. While growing up in Beaverton, Oregon, he developed a passion for the environment and for sustainability. He holds a bachelor’s degree from Oberlin College, majoring in Jewish Studies and minoring in Environmental Studies. Erika is happy to continue to be a part of the Mundo Verde family as the school receptionist. She joined the Front Desk team in 2016 after working in project management while completing her graduate studies. In her free time, Erika enjoys practicing yoga and dance. She was born in Sugar Land, Texas, and is of Bolivian and El Salvadorian descent. She completed her master’s degree at the School for International Training (SIT) Graduate Institute in Vermont. Franklyn joined the Mundo Verde community in 2015 as the school receptionist. He has previously worked in customer service and banking, as well as volunteered for Children's Hospital and Public Libraries. A DC native, he now lives in Maryland. Franklyn is thrilled to be working at a bilingual charter school that aims to foster high levels of academic achievement and empowers students to be agents of change. Naya joined the Mundo Verde Operations team in May 2016. She brings with her four years of experience as a Team Leader in a bilingual literacy program called Partners in Print, and three years working in library services at the Logistics and Periodicals Department at the University of Maryland. In her free time, she enjoys watching her favorite Korean dramas and the HGTV show House Hunters International. Born and raised in Maryland, Naya received her bachelor's degree from the University of Maryland in Spanish Language, Literatures, and Cultures. Food is something that connects everyone and our Food Initiative and Service Manager Kelsey believes in helping build those bonds at an early age. This is Kelsey's seventh school year working in school food; she previously worked at Pittsburgh's Environmental Charter School after a six month hiatus living and working in Northern Uganda. She is passionate about nutrition education, food access, healthy meals and is thrilled to be working at Mundo Verde. Kelsey has worked with many initiatives including Slow Food USA, Jamie Oliver's Food Revolution, The Green and Healthy Schools Academy and community cooking programs. In her free time Kelsey teaches yoga and loves to cook Thai food. Originally from Pittsburgh, she graduated from the University of Pittsburgh in 2010. Jessica is excited to be continue to be a part of Mundo Verde as the Data and Assesment Coordinator after working as Assessment Associate last year. Previously, she he worked in DCPS for 5 years in positions such as administrative aide and educational aide. She also worked as an educational aide with students in 3rd and 4th grade for 4 years. She loves going to the movies and spending time at home with her husband and daughter. She was born in San Miguel, El Salvador and moved to the United States at the age of 11 years old. Jessica has a Bachelor’s of Arts from the University of Maryland (UMD) and is currently working on her Master’s degree in Data Analytics from the University of Maryland University College (UMUC). José has been with Mundo Verde since 2014 and has served as an invaluable member to the team, as our all-knowing maintenance technician. He is happy to continue being part of the Operations team and help daily operations run smoothly. Prior to joining the Mundo Verde family, he worked at Metro Plating for 6 years. In his free time, Jose enjoys spending time with his family at home, and taking his two children to the nearby park. He hails from El Salvador, where he was born and raised. Rocio is invaluable in her role at Mundo Verde as the Office Manager. She was a founding member of the Mundo Verde team in 2011. As Office Manager, she handles phone support, organizes employee paperwork, oversees student billing and accounts, facilitates supply orders, and serves as a primary meet-and-greet staff person for all visitors at Mundo Verde. Rocio enjoys spending time with her family at her home in Takoma Park. She is originally from Guatemala and has lived in the D.C. area for over fourteen years. Kandra is excited to join Mundo Verde as our Business Manager. She comes to us with 4 years of experience working in education, with her last role being at a public charter school as the Operations Manager. She enjoys reading, travelling, and working out at the gym. She is originally from the Dominican Republic and is completely bilingual. She received her bachelor’s degree from the University of Maryland University College in Business and Management, and is very happy to be currently working on acquiring her master’s degree. Sara is excited to serve as Operations Manager for her second year. She brings over 6 years of diverse professional experience ranging from bilingual curriculum development at CASA de Maryland to executive assistant at the Bilingual Task Force in Philadelphia. She has also worked as a Spanish kindergarten assistant and a paralegal. She spent 2 years serving in AmeriCorps. She loves languages and is fluent in Hebrew and Spanish and has also studied American Sign Language and Arabic. Sara is a lifelong vegetarian who makes her way around the city by bike. She is originally from Philadelphia. Her BA is in Linguistics from Brown University. Taquia has worked in food service for 20 years and has been at Mundo Verde since December 2015 as a food service worker. Before coming to Mundo Verde, she worked at a nursing home for 20 years in food service; this is where she acquired her cooking experience, outside of what her grandmother and mother taught her. Taquia's hobbies are selling jewelry and skin care from her two home-based businesses. She was born and raised in Washington D.C.
Dorothy Steck started at Mundo Verde in June of 2017, serving as the opening executive chef for Mundo Verde’s cutting edge, in-house meal program. Chef Dot has worked at some of the finest restaurants in Washington DC: Jaleo, Butterfield 9, Zest Bistro, Taqueria Nacional, Mission DuPont and even the once famed Fannie Mae Executive Dining Room. Besides a broad and well-honed palate, she maintains a long-time commitment to seasonal and locally sourced foods as well as family-friendly menus which are dietarily inclusive. Chef Dot works with urban farmers, school gardens, and local produce growers to bring the best of what is fresh to the tables at Mundo Verde. She embraces diversity in dining experiences and all aspects of daily life and models this core value in all her undertakings. A native of Maryland, her BFA from the University of Maryland informs her dedication to presenting food which appeals to the eyes as well as our tastes. Chef Dot spends her free time knitting, cuddling with her Cattle Dog, biking and swimming with her family, and (believe it or not) cooking wherever and whenever she can. Andrea is thrilled to be joining the Mundo Verde community as the Nutrition Program Developer. Growing up a competitive gymnast, Andrea has an extensive understanding of the power and importance of nutrition for children and families. While completing her master’s degree, Andrea has distributed her time between instructing elementary students on health enrichment projects, researching nutrition education for the USDA, and nannying for a family of four. Andrea is eager to use her creativity to begin planning programs that will have the greatest effect on children as they excel and learn in this unique phase of development. During her free time, she enjoys running, cooking, and yoga. Andrea has a B.S. in Biobehavioral Health from Pennsylvania State University and most recently completed her master’s degree in Health Promotion Management from American University. 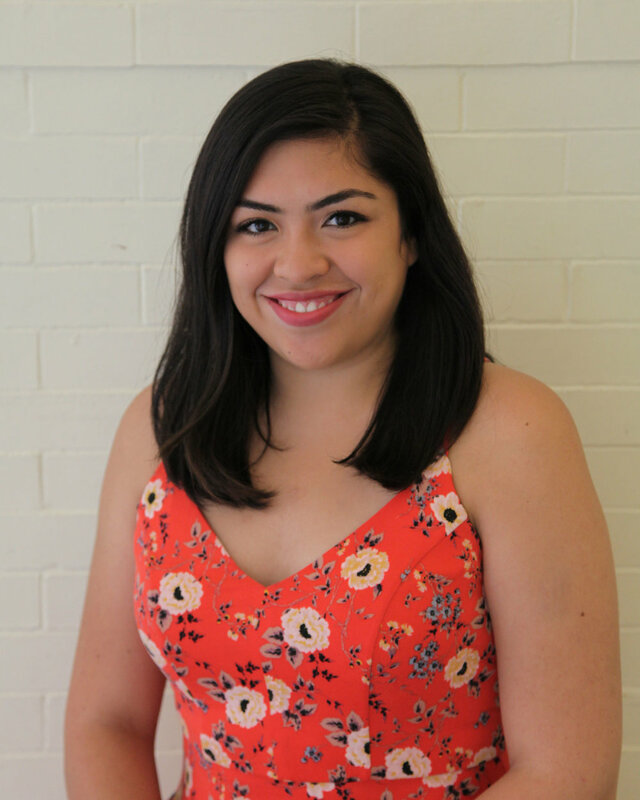 Mariela, the Summer Program Coordinator, has been working in education both at schools and in non-profits since 2012. Prior to joining the Mundo Verde team, she managed a middle school enrichment program for an educational nonprofit in New York City. While at Boston College, Mariela was a Donovan Scholar with a primary focus on urban teaching. As pastimes, she enjoys cooking and yoga. Washington, D.C. is the most recent of Mariela’s East Coast stops. She was born in Zacatecas, Mexico, and then grew up in Pomona, California. She holds a M.Ed. in Curriculum and Instruction from the Lynch School of Education at Boston College and a B.A. in Educational Psychology from Swarthmore College in Pennsylvania. Isadora has been at Mundo Verde since 2013 as Development Manager. She is a fundraising expert, having worked in the field of development for more than 15 years. Her expertise encompasses the areas of major gifts, institutional giving, capital campaign management, direct mail, volunteer management and special events. Prior to joining Mundo Verde, Isadora was a consultant at Onward, where her practice included fundraising strategy, talent search and development, major giver campaigns, database management and direct mail marketing. She has also served as a fundraising officer for WITNESS, Inc. and was director of external relations at Higher Achievement in Washington, D.C. Isadora also serves as member of the Bank Street College of Education Children’s Book Committee. Additionally, Isadora has over 12 years of teaching and mentoring experience. She is a native of Costa Rica, fluent in English and Spanish and proficient in Portuguese. Isadora has a master's degree in child and family studies and gifted education from the University of Denver. Diana has worked at Mundo Verde since 2013. Diana has over 12 years of experience as a marketing and business expert with non-profit organizations, multinational companies, and private business. Prior to Mundo Verde, Diana lived and worked in Mexico, managing international volunteering programs as a Country Director for ProWorld Volunteer, and running ecotourism workshops for the indigenous communities. She also worked as Marketing Product Manager for over 7 years in multinational businesses. She moved to Washington DC in 2012, and worked as Outreach Coordinator at DC Greens focused on the Hispanic Community; she also collaborated with City Blossoms as Outreach Coordinator and Translator. She is originally from Mexico City, and has a degree in Marketing with specialization in Business Administration from Instituto Tecnológico y de Estudios Superiores de Monterrey – Ciudad de México, and a postgraduate degree in Sustainable Tourism from Universitat Autònoma de Barcelona. 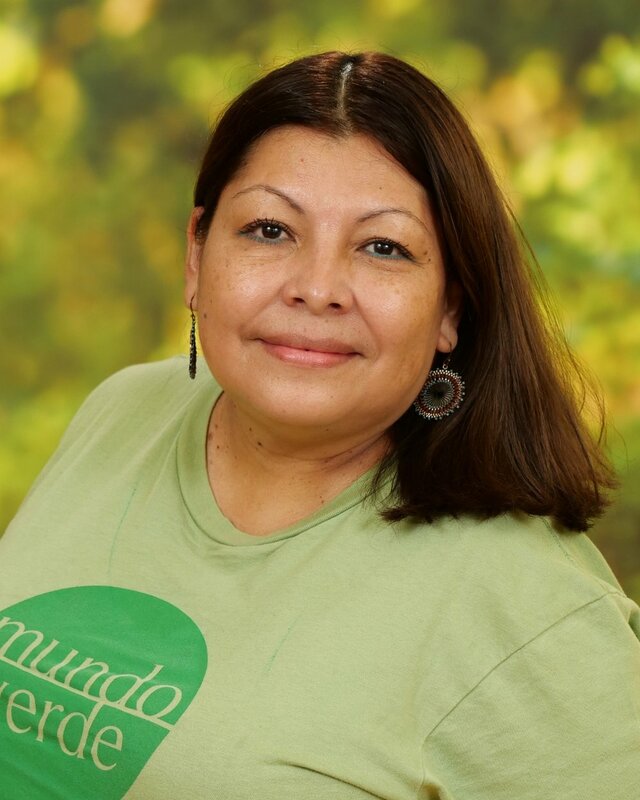 Elsa is thrilled to continue in her role as Outreach Coordinator for Mundo Verde. Elsa was a Mundo Verde PCS founding parent and served on the Board for two and half years. As a parent, board member and now outreach coordinator, she has actively worked on family recruitment and engagement at Mundo Verde since 2010. She taught in the New York City Public School system and at Benjamin Banneker Academic High School in the District of Columbia. Elsa loves biking in DC and travelling the world. She is Colombian-American and was born in New York. Elsa has a Bachelor's degree in Latin American Studies from the University of Virginia, and an M.S. in Secondary Education. Edwin Guevara is a DMV native and is joining us from Carlos Rosario International Public Charter School where he worked at the Retention Specialist and Coordinated Student Government. He is currently studying Anthropology and Sustainability at the University of Maryland. Edwin hopes to grow and learn within the Mundo Organization, and foster the learning and development of the youth of DC. In the future Edwin would like to work in community development with an effort of promoting sustainability and an increase in green initiatives within the city. Kesara is excited to join Mundo Verde as the Operations Associate. She brings over eight years of experience in education working with students ranging from pre-k4 to adulthood. 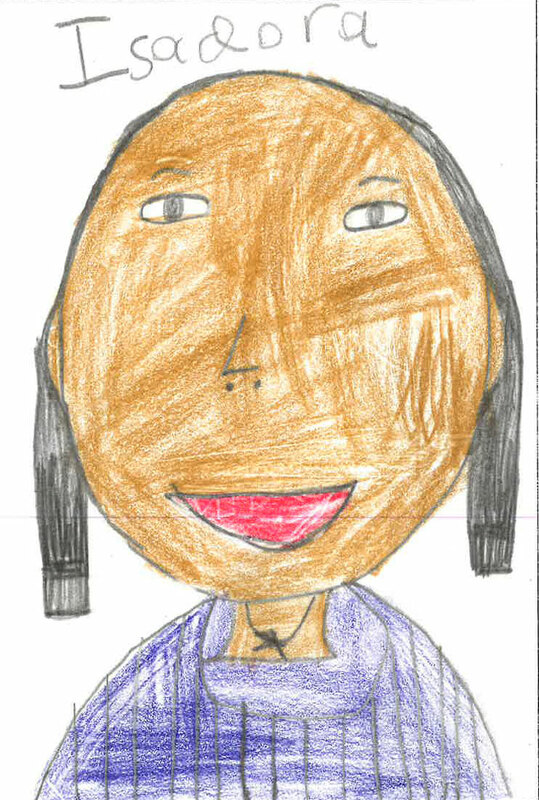 Kesara is a native Washingtonian with five children of her own. She has taught beginner computer literacy as well as web design to parents at John Burroughs Elementary. She has taught teenagers at Studio W, and she has Volunteered with Early Childhood to PK4 students in Washington, D.C. at Bright Beginnings Inc. She enjoys drawing and computers. Kesara has a bachelor´s degree in Visual Apparel and Merchandising with a concentration in Digital Media from Albright College. She is excited to join the Mundo Verde family and bring her expertise in Education and Computer Literacy to better support our students and families. Berenice is excited to continue her seventh year at Mundo Verde. As a Biliteracy Instructional Guide, Berenice is responsible for building the school's foundation of bilingualism and encouraging its growth. She is also charged with building teaching capacity through strategic coaching cycles and professional development cycles with all academic staff. Berenice supports grade-level teams through regular instructional meetings, and leads our school wide data-driven decision making efforts. While working as a Mundo Verde founding lead kindergarten teacher, Berenice helped produce the award-winning bilingual short film, Vuela, Vuela Mariposa, written and performed by kindergarten students as part of their expedition on animal adaptation and habitat preservation. Berenice has over nine years of extensive experience in all facets of children’s performance management, children’s program development, research, scheduling, planning, portfolio development, and team building. She has previously developed bilingual preschool content for a PBS-affiliated television network and was involved with funding projects that promote bilingualism through the media. Berenice received her master’s degree in bilingual/bicultural education from Teachers College at Columbia University and her bachelor's degree in mass communication from Louisiana State University. Jody is excited to continue her fourth year at Mundo Verde after working as a curriculum developer and a fourth and fifth grade master lead teacher. Prior to joining the Mundo Verde team, Jody spent two years teaching 4th grade in Baltimore, Maryland and serving as a Teach for America Corps member. In addition to teaching, she was an elementary Social Studies curriculum writer for Baltimore City Public Schools. In 2010, she lived and worked in Bolivia teaching performing Arts workshops to children of all ages in Spanish and English and is thrilled to be back in a bilingual setting. Originally from South Florida, Jody grew up on her family’s sustainable organic tropical fruit and bamboo farm which makes her feel a special connection to Mundo Verde’s sustainability mission. Jody holds a Bachelor's degree in Musicology from Northwestern University, focusing on Early Childhood Music Cultures and Theater for young audiences. Following her undergraduate work in the Arts, Jody pursued a Master’s degree in Education from Harvard, where she was first introduced to Expeditionary Learning through project and arts-based coursework. She also holds an advanced certification in Elementary Education from Johns Hopkins University, focused on Literacy Development. Naomi is excited to join Mundo Verde as the Lower House Coach and brings over eight years of experience in education. Empowered with her personal and professional experiences, she is passionate about elevating linguistic and cultural assets of the community as well as supporting educators cultivate their craft. Most recently, Naomi served as a literacy coach and homeroom teacher in a dual language school in D.C. She also taught Prekindergarten - 3rd grade as a homeroom teacher and ELL Literacy specialist. Prior to moving to D.C. Naomi taught in Oaxaca, Mexico and 4th-6th grade in San Salvador, El Salvador. In her free time Naomi loves to cycle, throw pottery, travel, read, and be with loved ones. Naomi hails from Houston and grew-up in Columbus, Ohio. Naomi earned a M.Ed. in Language and Literacy from Harvard Graduate School of Education, a M.Ed. in Early Childhood Curriculum and Development from George Mason University, a B.A. from Kent State University, and is a Teach For America Alumna. Karen is excited to continue for a second year with the Student Support team. She joined Mundo Verde as a Spanish Intervention Teacher following several years with both local and international schools. Her teaching experience includes Spanish as a World Language, English as a Foreign Language, English as a Second Language, and 2nd and 4th grade lead in DC, Mexico, Niger, and Ethiopia. Prior to teaching she was an attorney in Washington, DC, and San Juan, Puerto Rico. Aside from her obvious passion for traveling, Karen loves biking, taking walks in nature, and going on beach vacations with her husband and two daughters. Originally from Puerto Rico, she has a Masters Degree in Curriculum and Planning for International Schools and has met licensing requirements for the state of Virginia. David is excited to return as a Spanish intervention teacher for a second year after having worked as a lead teacher in 3rd grade. 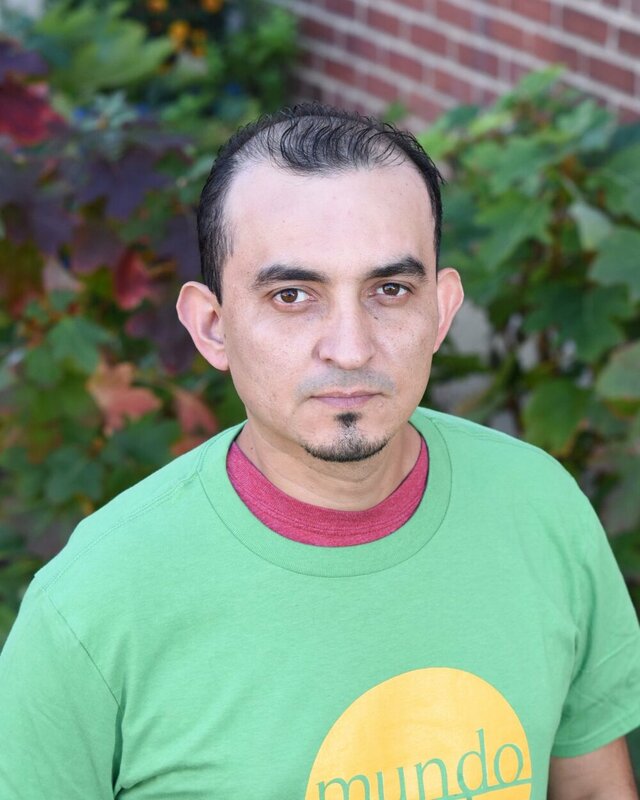 David has experience teaching as a 3rd Grade Dual Language Math and Science teacher at Powell Elementary Bilingual School, and as a 4th Grade Teaching Fellow at Capital City Public Charter School. David is a Mexican native with a bachelor’s of Arts degree in Psychology, Specialization in Clinical Psychology, Psychodrama and Group Management from Universidad Iberoamericana. David also studied at Center for Inspired Teaching, in a teacher preparation program for elementary teachers in the District of Columbia. Christina is excited for the opportunity to continue to grow as an educator in her second year as an intervention teacher for 2nd through 5th grade. In the 2015-2016 school year, Christina worked as a lead teacher in 2nd grade. 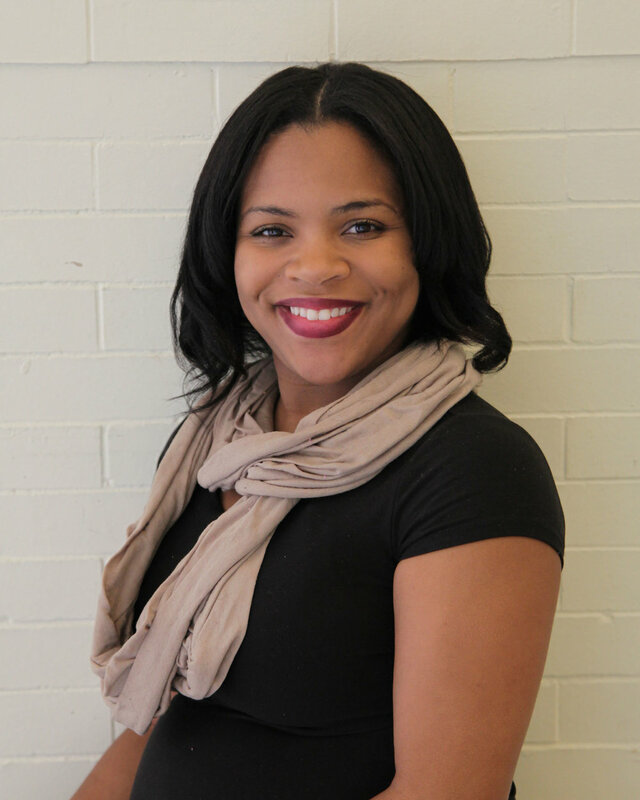 Christina has over nine years of experience teaching in D.C. public and charter schools. She has also taught in the Bronx, New York, and Busan, South Korea. As an undergraduate, she studied in Scotland and travelled to Honduras. Christina is an avid reader, traveler, gardener, and bilingual music lover who is originally from Detroit, Michigan. She has a bachelor’s degree in English with an emphasis on Creative Writing and a minor in Psychology from Alma College. She received her master’s degree in Education from Sarah Lawrence College. Alejandro has been working with bilingual and multicultural populations in the D.C. metropolitan area since 2000. Alejandro’s work experience in the US includes working as a bilingual speech and language pathologist for the Prince George’s Infant-Toddler Initial Assessment Team in Maryland, and for the Latin American Montessori Bilingual Public Charter School (LAMB) in the District of Columbia, where he served students under ten, and their families. In his free time, Alejandro enjoys travel, jogging, playing tennis, as well as meeting people from other cultures and trying multicultural and international cuisine. He was born and raised in Asturias, in the north of Spain, where he studied at the Universidad de Oviedo. After receiving his degree in Clinical Psychology he chose to move to the U.S. to pursue a Master's of Science in Bilingual Speech and Language Pathology from the University of the District of Columbia. Daphne brings her past experiences in the field of education to her role, as she continues to work with the Inclusion and RTI team as well as support classroom behavior in the extended day program for her third year. 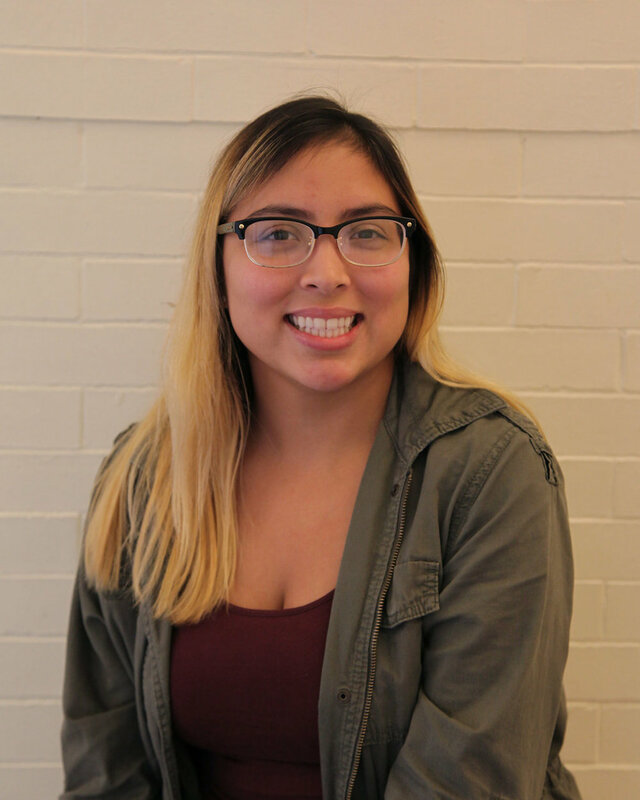 She initially joined Mundo Verde’s after-school program in the beginning of the 2012-2013 year, then spent the remainder of the year as a classroom fellow in first grade. She has previously worked as a reading tutor in a D.C. charter school. She has also served with AmeriCorps at Washington Middle School for Girls, where she worked as a tutor, volunteer coordinator, service learning liaison and assistant extended day coordinator. Daphne holds a bachelor's degree in history from the University of Maryland-Baltimore County. Norma joined the Mundo Verde team in 2016 with more than two decades of educational experience across three urban school districts and two non-public special education schools that included a role as Director of Special Education and as an Educational Director. 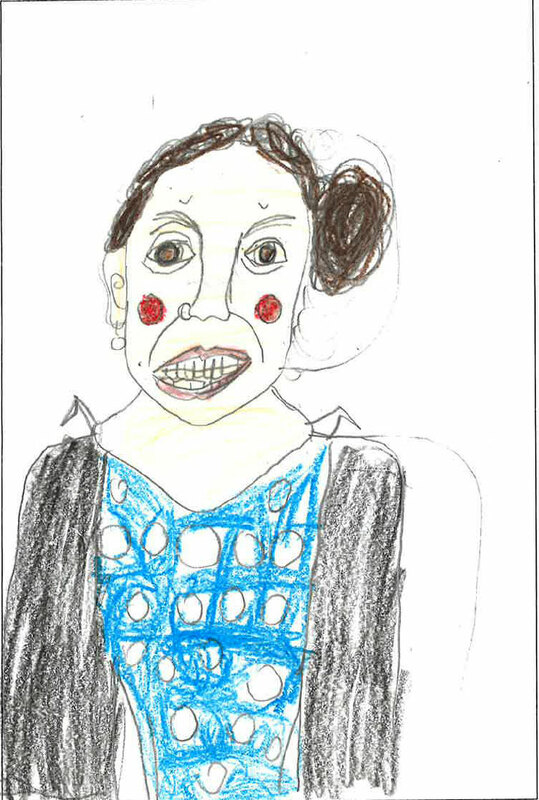 In her free time, Norma enjoys the theatre, ballet, concerts, and film. Originally from Baltimore, Maryland, she has an undergraduate degree in Spanish from Towson University and a graduate degree in Special Education from the University of Maryland. She is also dually certified in general education and special education, and holds a license in Educational Administration. Daniel is excited to return to Mundo Verde to a third year as a Special Education and Inclusion Teacher. 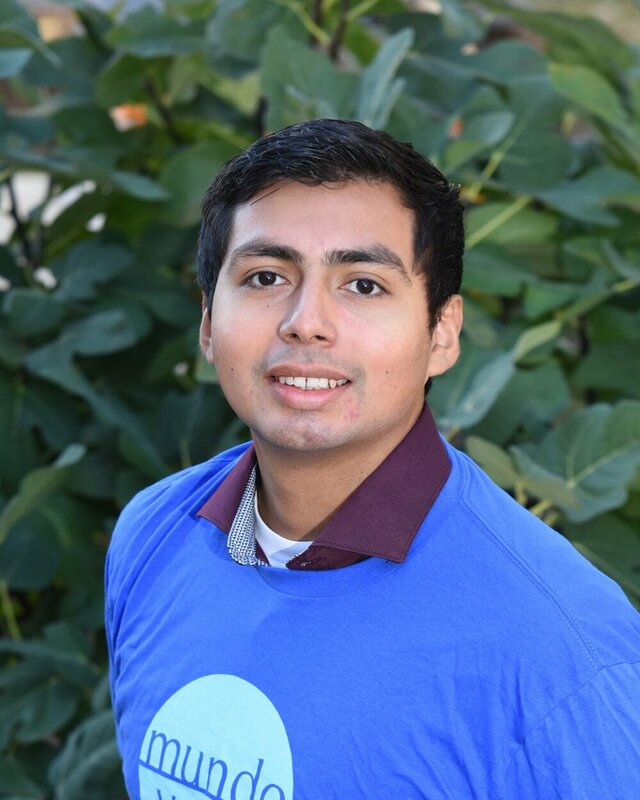 Prior to Mundo Verde, Daniel worked in an Associate DC Public Schools' Urban Education Leaders Internship Program, which guided him towards a career with the Urban Teacher Center. This program placed him at a bilingual charter school, Elsie Whitlow Stokes Community Freedom PCS. In his spare time, Daniel enjoys playing soccer and volleyball. He also enjoys exploring DC and helping others understand topics of social justice and privilege. Daniel was born in Waukegan, Illinois and was brought up as a bilingual speaker by his Mexican-Guatemalan family. Daniel has a bachelor’s degree in Psychology and a minor in Educational Studies. He holds a Dual Master’s degree in Elementary Education and Teacher of Students with Moderate Disabilities from Lesley University. 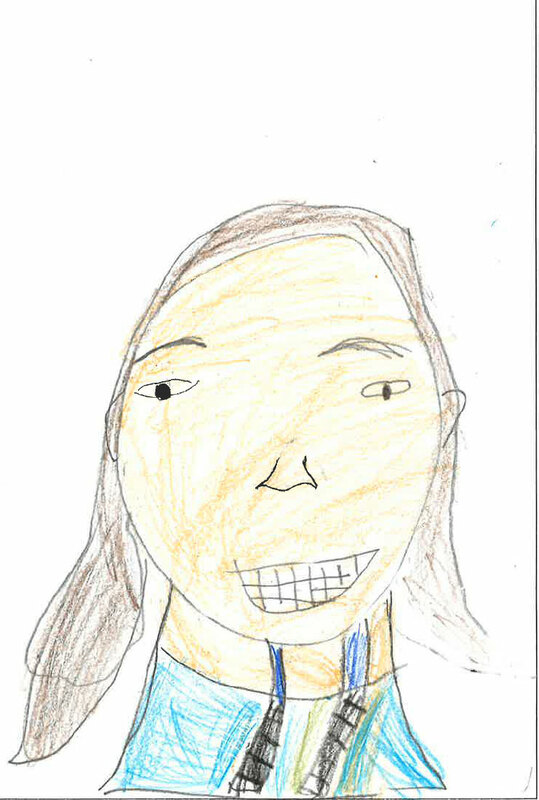 Emilia is excited to continue in the Inclusion team for her second year. In the 2014-15 and 2015-2016 school years, she worked as a lead teacher in Pre-K. After working with preschool students as a volunteer, she discovered a passion for educating young children and has since garnered over seven years of experience as a teacher. She has worked as an assistant preschool teacher and elementary school teacher in Venezuela, and a Spanish lead teacher at Early Steps Bilingual Preschool in Arlington, Virginia. Emilia is a native of Venezuela. She holds a technical degree in early childhood education from the Instituto Universitario Avepane. Sarah is happy to continue at Mundo Verde as a Special Education and Inclusion Teacher. Previously, Sarah worked as a Dual Language Instructional Specialist for District of Columbia Public Schools and an Assessor for School Readiness Consulting. After learning to speak Spanish as a second language at Oyster Bilingual Elementary School, she continued her studies in Spanish, teaching early childhood education in Natá, Panamá for one year. She went on to teach at several public and charter schools in the District. Sarah is a native Washingtonian and holds her bachelor’s degree in English Language and Literature from the University of Maryland. Sara has demonstrated a commitment to helping youth through education and fitness over an accumulated eight years both abroad and in the US. After earning her Bachelor's degree, she accepted a 10 month Fulbright Grant to the Middle East where she worked to bridge cultural gaps as a sports instructor to Jordanian youth. Full of vigor and enthusiasm, she returned to the DC metro area where she worked as a youth soccer coach with DC United, an adaptive PE teacher (K­8), a special education teacher, and a CrossFit certified trainer. In her spare time, you can find Sarah under a barbell at her CrossFit gym, posing at her local yoga studio, or falling off rocks as she attempts to learn the art of bouldering in and around the DC metro area. Sarah was born and raised in Chicago, IL. She holds a Master’s degree of Special Education from George Mason University. Prior to joining Mundo Verde, Daniela worked with children at Mary’s Center and Bancroft Elementary, supporting them in reading and writing. Daniela enjoys arts and crafts, and her overall passion is to help students achieve a positive future and have a positive outlook on education by supporting their freedom of expression. She was born to Guatemalan parents in the District of Columbia. She received her BA in Criminal Justice and Psychology from Trinity University. 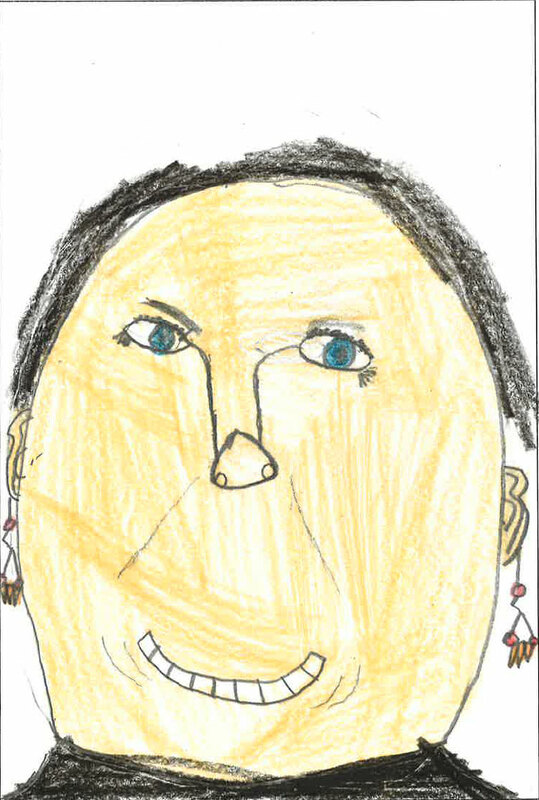 Elizabeth is thrilled to continue working with early childhood-aged students. The natural ease she brings to her work is grounded in her previous work experiences at nursery schools in D.C., including the Summer Youth Program Daycare at Columbia Heights Education Campus, Love and Care Nursery, and David’s Stars Early Childhood Center. She is originally from Peru and is currently pursuing her bachelor’s in early childhood education from Central Texas College. Bennisha Lucas is super enthusiastic to be a part of the Mundo Verde team. She is a Clinical Mental Health Therapist and has worked within urban educational environments since 2011. Bennisha utilizes her emotional, social, and behavioral awareness to support others with accessing their extraordinary selves. In her spare time, Bennisha enjoys creating “do-it-yourself” projects. Bennisha is a native Washingtonian and she is passionate about being of service in the community that has done so much for her. Bennisha attended the University of North Carolina at Greensboro, where she received dual Bachelor of Arts degrees in English and Broadcast & Cinema, with a concentration in Media Writing. She later obtained a Master of Arts degree in Clinical Mental Health Counseling from Trinity University, located in Washington D.C., and is a licensed K-12 Professional School Counselor through the Office of the State Superintendent of Education. Darryl joined Mundo Verde for the 2016-17 school year with over 10 years of education experience. Much of his experience has been in teaching general and special education math and science to middle and high school students in various cities. Along with a passion for education, Darryl enjoys building motorcycles and riding cross-country. He also is an avid snowboarder and enjoys instructing students on how to enjoy winter sports during the season. Darryl is a proud graduate of Cleveland State University where he earned a Bachelor’s in Education. He also received a master’s of Administration in Education from Trinity Washington University. Peling brings to Mundo Verde over nine years of special education experience as both a teacher and educational leader. She spent the last several years in London, UK, where she served as an assistant principal and special education needs leader at Sunnyhill Elementary School, and as a special education instructional coach at Camden Pupil Learning Support Service. She was previously a 1st grade teacher at Public School 2 in Manhattan, New York and an Early Childhood Assessor for Apple Tree Institute in D.C. Peling obtained Qualified Teacher Status in the UK and is certified in special education and elementary education in New York State. A fluent speaker of Mandarin, Peling is particularly excited to combine her passion for bilingual education with her professional experiences in special education. Peling has a bachelor's of science in elementary and special education, as well as psychology from New York University. She also has a master's degree in international education development with a concentration in bilingual education from Teachers College at Columbia University. Becca is super excited to be joining the Mundo Verde team as an inclusion teacher in fourth grade! She served as an AmeriCorps member with City Year at a DC public school in Ward 7; last year, she taught kindergarten at a DC charter school. Becca has spent a lot of time volunteering at an orphanage in Costa Rica, and received her TEFL certification from Máximo Nivel Language Institute in San José. When she's not hanging out with the Bees at Mundo Verde, Becca can be found crafting, reading, hiking, or looking up pictures of sloths. She grew up in Westchester County, NY, and earned her Bachelor's degree in Childhood and Special Education at SUNY Geneseo in Geneseo, NY. Christina is excited for the opportunity to continue to grow as an educator in her first year as an intervention teacher for 2nd through 5th grade. 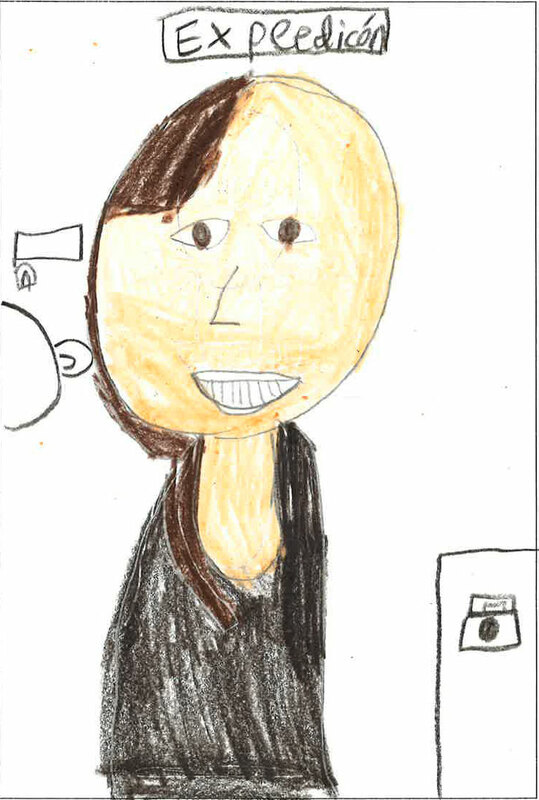 In the 2015-2016 school year, Christina worked as a lead teacher in 2nd grade. Christina has over eight years of experience teaching in D.C. public and charter schools. She has also taught in the Bronx, New York, and Busan, South Korea. As an undergraduate, she studied in Scotland and travelled to Honduras. Christina is an avid reader, traveler, gardener, and bilingual music lover who is originally from Detroit, Michigan. She has a bachelor’s degree in English with an emphasis on Creative Writing and a minor in Psychology from Alma College. She received her master’s degree in Education from Sarah Lawrence College. David is excited to return as a Spanish intervention teacher after having worked as a lead teacher in 3rd grade. David has experience teaching as a 3rd Grade Dual Language Math and Science teacher at Powell Elementary Bilingual School, and as a 4th Grade Teaching Fellow at Capital City Public Charter School. David is a Mexican native with a bachelor’s of Arts degree in Psychology, Specialization in Clinical Psychology, Psychodrama and Group Management from Universidad Iberoamericana. David also studied at Center for Inspired Teaching, in a teacher preparation program for elementary teachers in the District of Columbia. Edgardo is from Puerto Rico and graduated from the Caribbean University. He obtained his bachelor degree in Social Work. He accomplished his professional practice in a program called Head Start as a teacher assistant where his passion for education awoke. Besides his passion to be an educator, he loves sports like basketball, volleyball and other extreme sports like skateboarding and roller-skates. Edgardo has been serving as a Restorative Practices Assitant at Mundo Verde since last year. Anaí is excited to spend another year with Mundo Verde and has three years of experience in education. She has taught first grade in the United States, and is open to working with other grades. In her free time, she enjoys playing soccer and listening to music. After having been born in México and being raised in the United States, she has a passion for teaching and learning from each student in the same way that they learn individually. 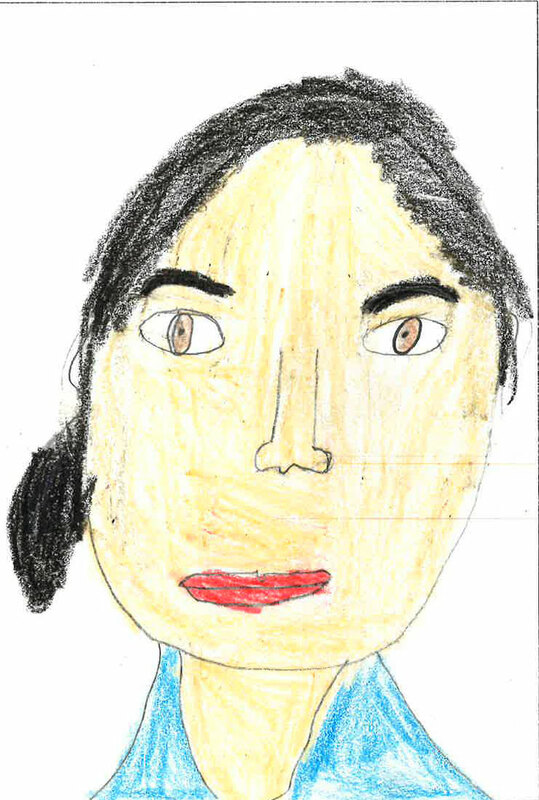 Anaí wants to continue her studies so that she can achieve her dream of teaching, which is one of her great passions. Ana works as a teaching associate and morning program coordinator at Mundo Verde. She has worked at the National Institute of Early Childhood Education in Guatemala. She has more than 15 years of experience as a teaching paraprofessional in DC Public Schools. Before coming to Mundo Verde, she worked at John Tyler, Seaton, and Bancroft Elementary Schools. Ana hails from Guatemala. She holds a certificate in early childhood education and has completed coursework in teaching and child development at Fitchburg State College and UDC. Andrew is thrilled to be a part of the Mundo Verde family. He is serving the community as the Student and Family Support Coordinator after over 10 years of teaching exceptional students with learning and behavioral differences. Andrew has recently returned from three years of teaching international students in Dubai, UAE. Feel free to ask him about Arabia, camels, and sand. He knows a lot about sand. He earned a Bachelor’s degree in Communications from George Mason University and a Master's in Education from the University of Virginia. 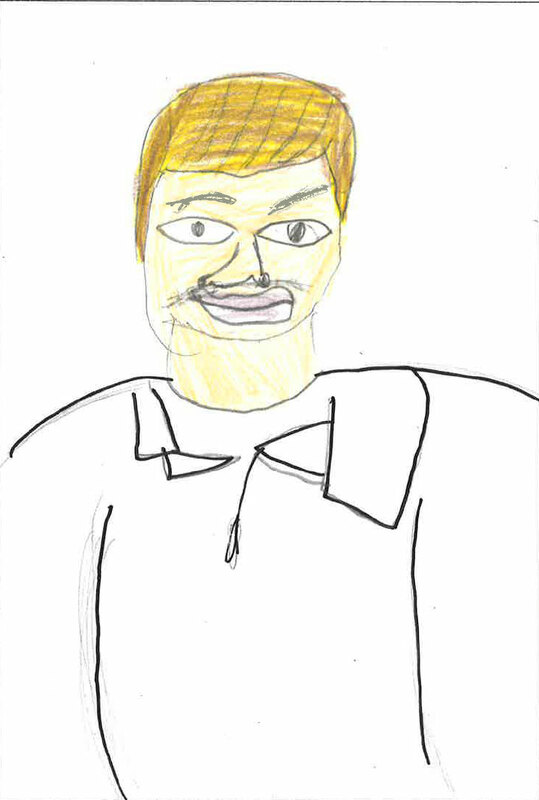 Andrew grew up in the DC area and spends his free time barbecuing and smoking various cuts of meat. He plays guitar and piano and is often found singing. He has a beautiful, brilliant wife, a hilarious daughter, and handsome and interesting son who is yet to be born. 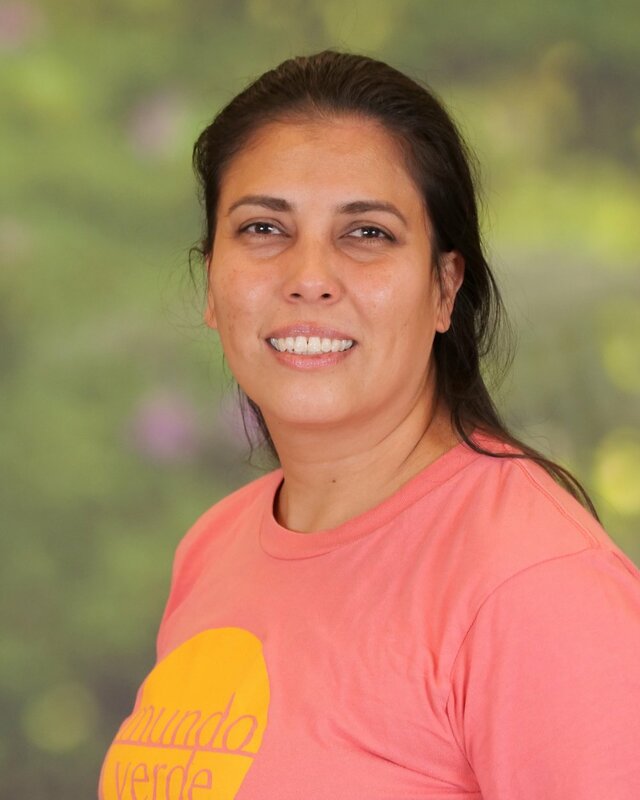 Gabriela is enthusiastic to return another year at Mundo Verde, bringing new ideas and challenges for the children. Gabriela has had 4 years of experience of working with children, and enjoys implementing arts and craft and hands-on projects with them. She has worked with children from ages 4-12, but finds her talents lie in working with older children. 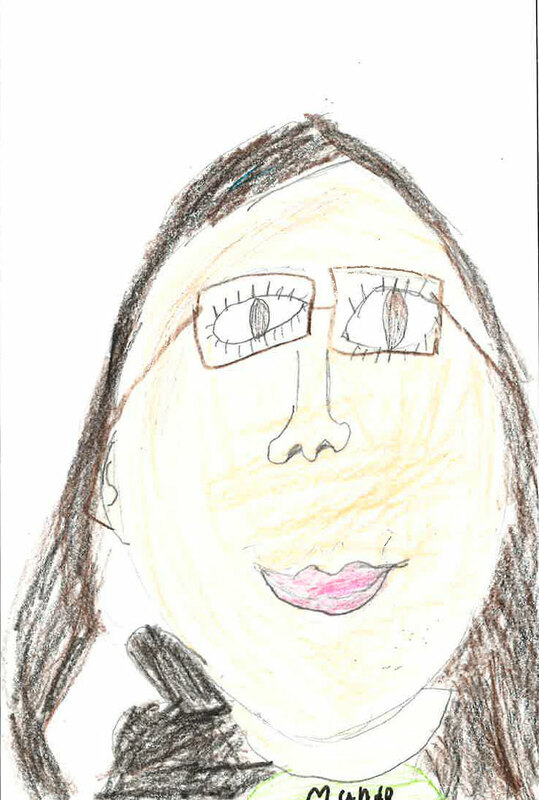 Gabriela is very open minded and she loves to see all children getting involved in projects. She enjoys DIY projects, interacting with new people and trying new foods. Gabriela was born in Washington D.C and her parents hail from El Salvador. Gabriela is thrilled to join us at Mundo Verde and brings over 9 years of experience working with children, typically developing and children with special needs. She has taught children ages 2-5 years old in the State of New York, and is also an English online teacher for children in China via VIPKID. Over the years, she has developed an interest in promoting and cultivating her native language of Spanish among her students. Natasha is originally from the Chicago area. She received her bachelor’s degree in Psychology from Northern Illinois University, she received her teaching certificate in early childhood regular/special education from Edgewood College, in Madison, Wisconsin. Natasha has worked with children and families in preschools, daycares, homes, playgrounds, and Head Start while living in Madison. She moved to the DC area in 2016, and she looks forward to getting to know our school community. Karen joins MV as a Spanish Intervention Teacher following several years with both local and international schools. Her teaching experience includes Spanish as a World Language, English as a Foreign Language, English as a Second Language, and 2nd and 4th grade lead in DC, Mexico, Niger, and Ethiopia. Prior to teaching she was an attorney in Washington, DC, and San Juan, Puerto Rico. Aside from her obvious passion for traveling, Karen loves biking, taking walks in nature, and going on beach vacations with her husband and two daughters. Originally from Puerto Rico, she has a Masters Degree in Curriculum and Planning for International Schools and has met licensing requirements for the state of Virginia. Gaby is thrilled to begin her third year working as a lead teacher at Mundo Verde. Prior to joining the Mundo Verde community, she worked at Community Academy Public Charter School for nine years. There she gained experience in a variety of different positions, which included: Community Outreach Coordinator, Parent/Teacher Outreach Coordinator, Teacher Assistant and ESL/LCD Specialist. 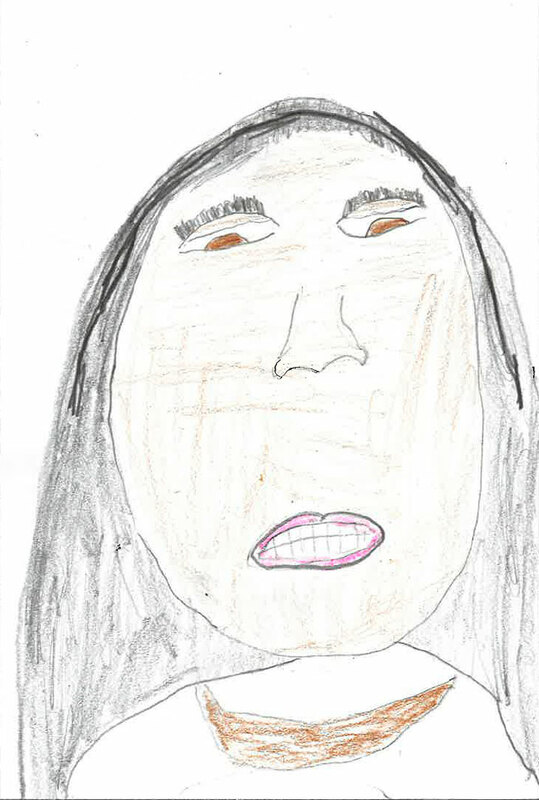 Gaby enjoys participating in outdoor activities such as camping, bike riding, swimming, and soccer. She loves to travel and explore different cultures, while maintaining connected to her own. She was born in La Paz, Bolivia, and came to the United States at the age of 14; she now forms part of a folkloric Bolivian dance group. She has a bachelor's degree in Spanish and a master’s degree in Early Childhood Education. Jorge is happy to continue his fourth year as a lead teacher at Mundo Verde. He previously worked in San Juan, Puerto Rico as a teacher at the Center for Integral Development supporting children with autism. He has held positions of assistant professor and administrative assistant director at the Bayamón Central University. He has also taught in Bayamón as a health teacher and as a teacher of social studies, physical education, health, and fine arts at Colegio Carmen. Jorge is a strong believer in inclusion and integration models of instruction, specifically as it applies to teaching students with special needs. Originally from Colombia, Jorge received his bachelor’s degree in elementary education and a master’s degree in special education from Bayamón Central University. Matías is happy to continue as a lead teacher at Mundo Verde since starting in the role in the 2015-16 school year. He was previously a fellow teacher in Pre-K. He has 14 years of experience in early childhood education, having held teaching positions at various schools in El Salvador, including Centro Escolar Católico Juan Pablo II. Matías brings dedication and enthusiasm for fostering creativity and artistic development in his students. He is also extremely knowledgeable of folk dances and traditional dances of his native El Salvador. He holds a bachelor's degree in early childhood education from Universidad Luterana Salvadoreña. Patty was a founding Pre-K teacher at Mundo Verde, and has worked as a lead teacher at the school since 2011. She has more than 30 years of experience in the field of education, which includes having worked at the Ministry of Education in Peru. Patty has a wealth of professional development and training, including CDA certification from CentroNía in Washington, D.C., where she worked as a head teacher. Before coming to Mundo Verde, she worked at Tiny Findings Child Development Center. Patty understands that children are unique human beings that are constantly changing and evolving and she believes that teachers are meant to be part of this developmental process. Originally from Peru, she she received her bachelor’s degree in education from the University of San Martín de Porres in Lima. Ana Dilia works as a teaching associate at Mundo Verde. Ana has been working in the child development field for the past 14 years and has worked with a range of ages, from newborns to 5th graders. Originally from El Salvador, she has completed a Certification in Child Development and taken many courses at UDC and Montgomery College as well as art and fashion illustration classes. 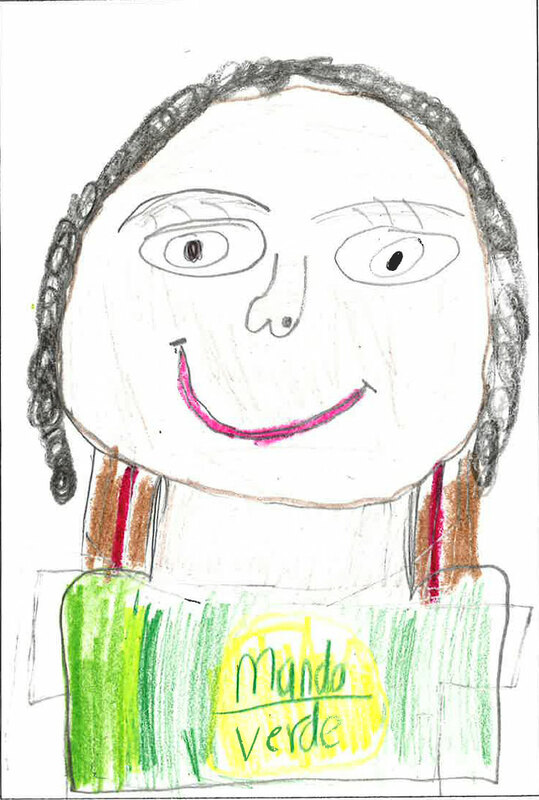 Maira is proud to continue working as a classroom associate at Mundo Verde. She taught for 7 years in El Salvador after working for 10 years as an administrative assistant. While in the U.S, Maira received a Child Development Associate (CDA) Certificate and has worked with children in various settings, including Kid’s Corner and Sacred Heart School. She is currently studying English at Carlos Rosario International School. Maira hails from El Salvador, and received a teaching degree from Universidad Capitan General Gerardo Barrios in San Miguel. 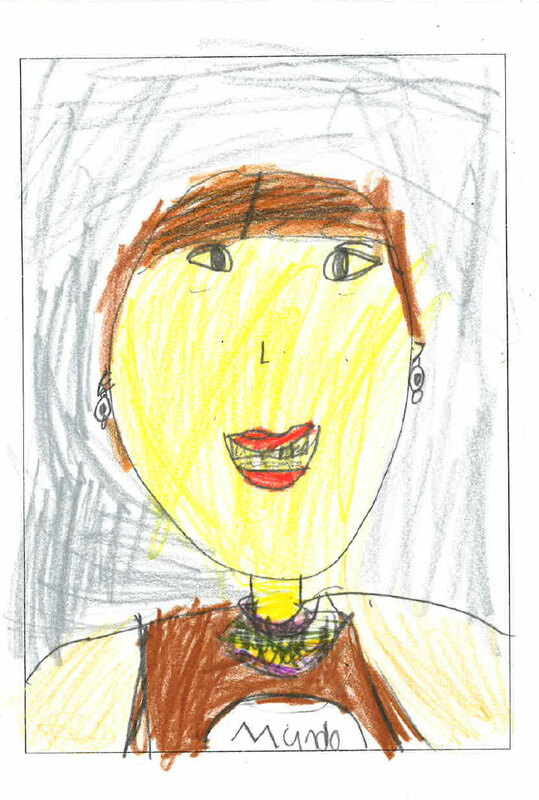 Sandra is excited to return to Mundo Verde's early childhood-aged classroom for a fifth year. She brings over thirteen years of experience teaching early childhood through middle school students. Prior to joining Mundo Verde, Sandra worked at Bright Horizons where she implemented a bilingual Spanish-English program as a teacher for pre-school students. She was also a Spanish teacher and co-teacher at St. Gabriel’s School, where she taught grades K-3 and 6-8. At Chevy Chase Kinderhaus, she worked specifically with infants and toddlers. Sandra hails from New York and is Colombian-American. Sandra is certified with an Infant/Toddler CDA and Bilingual CDA. She has studied at the Catholic University of America and done coursework at Trinity College. Karla is excited to continue incrementing her knowledge as a Fellow Teacher. She has more than seven years of experience as a lead teacher in public schools. She is passionate about teaching and wants to see her students growing socio-emotionally because they are the future. As a parent, she understands parents’ desire to focus on their child’s specific educational experiences. Karla was born in El Salvador, where she earned her bachelor’s degree in Science Education, with a specialty in early childhood education, at the Universidad Luterana Salvadoreña. Sandra has worked as a fellow teacher in Pre-K since 2015. She brings 9 years of experience as a Spanish teacher in elementary schools in the area. She also has experience as a Kindergarten teaching associate in Washington DC. Before moving to the U.S, Sandra worked as a chemistry teacher and a Secretary of Imports and Exports of Medicines and Cosmetics. Hailing from El Salvador, Sandra studied Chemistry and Pharmacy at Universidad Salvadoreña Alberto Masferrer. She has also received a Child Development Associate (CDA) Certificate for children from 0-5 years old, a Certificate of Achievement in Eating Smart, Being Active from University of Maryland, and a Certificate of Core Knowledge Area: Observing, Documenting and Assessing to Support Young Children and Families from OSSE. Fabiola is excited to continue working with the Pre-K team, after joining Mundo Verde in 2016. She has 10 years of experience working as a nanny in California. She has worked with children of all ages, from infants to 12 year olds. In her spare time, she enjoys the company of her family and outdoor activities. She was born in Cuernavaca, Morelos, Mexico, and came to the United States after completing her degree in Tourism Business Administration from the Technological University of Mexico. 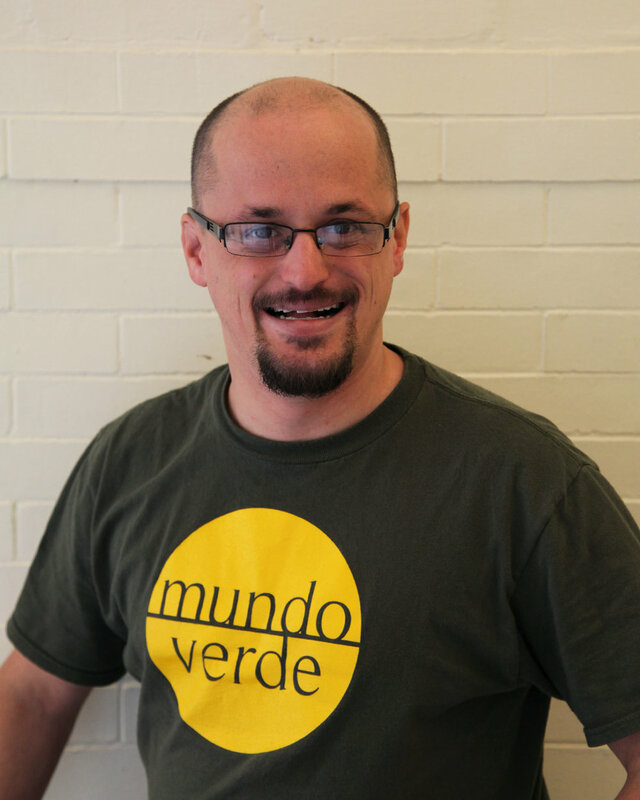 As a person who is passionate about teaching, art, and literature, Paul is delighted to join the Mundo Verde family. He worked as a Spanish and Literature teacher and librarian in Colombia for more than seven years. In his job as a librarian, he acquired experience in children’s literature and reading techniques. Paul has worked with different vulnerable populations such as people with substance abuse issues, the homeless, children under protective services, and people with physical disabilities. 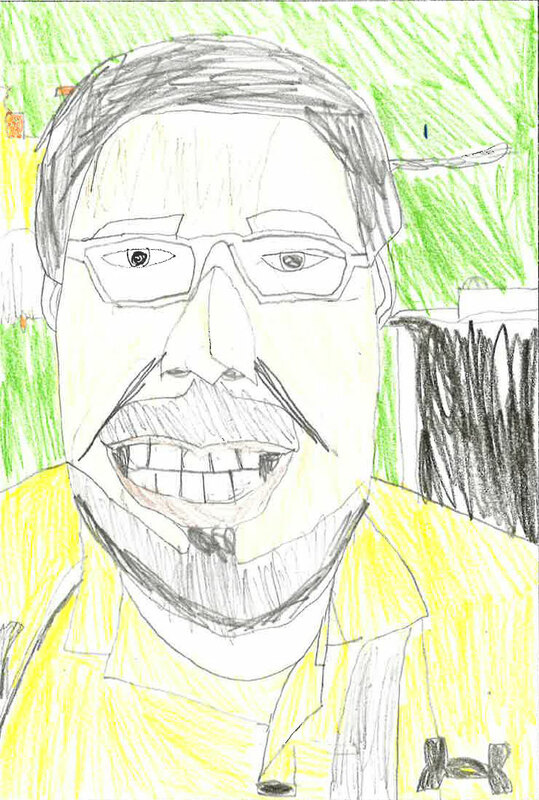 Paul enjoys reading about history, literature and visiting museums and art galleries. He is originally from Colombia and is fluent in English. He holds a Bachelor’s degree in education with a teaching major in language instruction (Spanish) from Universidad Francisco Jose de Caldas and a Master’s degree in aesthetic and art history from Universidad Jorge Tadeo Lozano in Bogota, Colombia. Tuli is delighted to join the Mundo Verde community as a Pre-K teaching fellow. 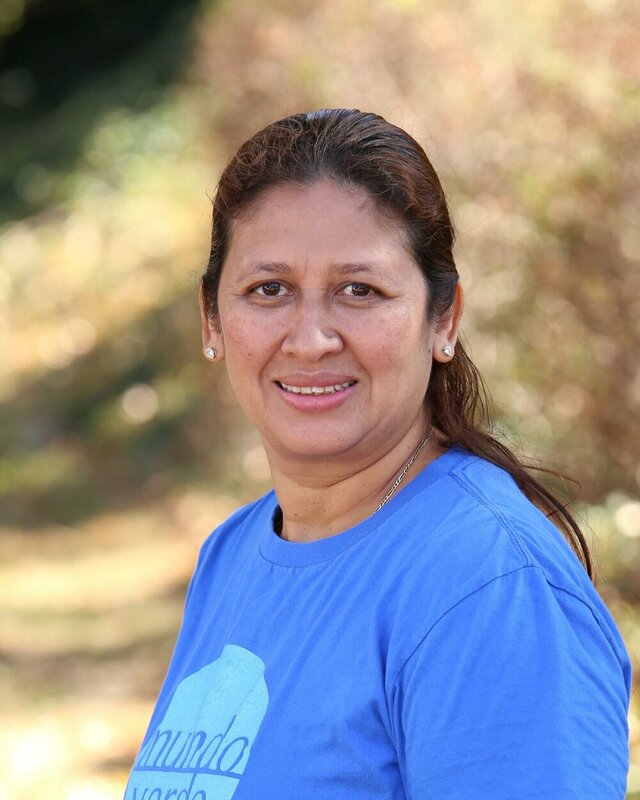 After discovering her passion for teaching while working in a children's home in India, Tuli became very interested in alternative forms of education, which led her to work as a substitute teacher at the Acorn Hill Kindergarten in Takoma Park. While growing up in Baltimore, Tuli often visited family in Peru, where she developed a strong connection with Latin culture, particularly dance and cuisine. Having studied at the University of Vermont, she has a deep appreciation for the outdoors and enjoys rock climbing and hiking. Tuli is currently pursuing her master's degree in Education from Johns Hopkins University. Nely has been working with Mundo Verde since 2012 and this year she continues working as a Daytime Classroom Associate and Extended Lead Teacher. Nely has worked in El Salvador with youth in Kindergarten through third grade. After she moved to Washington DC, she studied English at The International Language Institute, and continued her studies for four years at Carlos Rosario International Public Charter School where she participated in the accreditation team for two years. She also worked for two years as a volunteer at the same school. In 2014 she earned a Child Development Associate (CDA) Certificate. Nely was born in El Salvador. She studied at Universidad Francisco Gavidia (UFG) and earned her Bachelor’s degree in Education with Specialization in Early Childhood. Adelina is an education specialist with more than five years of youth instructor experience. She has supported special projects with groups of indigenous students from non-Spanish language households and has assisted with their educational development. Among her projects was the establishing of recycling programs that reinforce student awareness and participation. Adelina has also provided support as a tutor and academic coordinator assistant. She graduated from Universidad Autónoma de Oaxaca and holds multiple teaching certificates, including a teacher assistant certification from the State University of New York. Originally from Oaxaca, Mexico, Adelina enjoys jogging, swimming and watching sports. 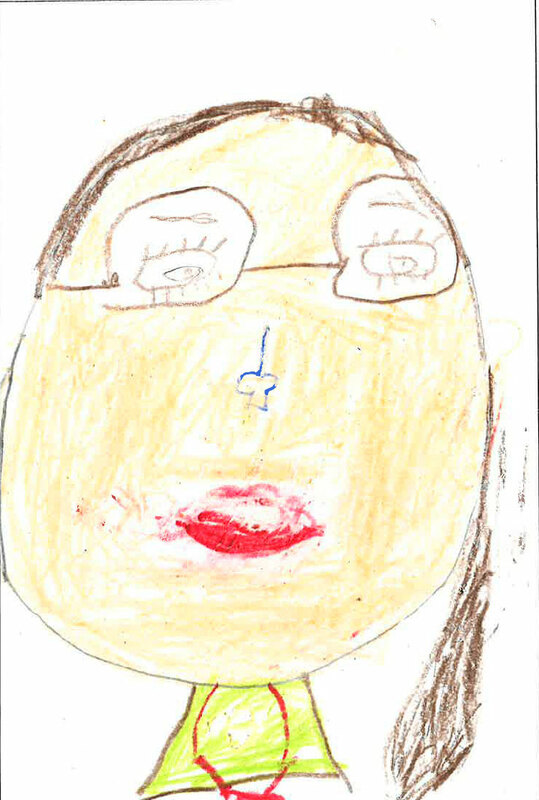 Andrea returns to Mundo Verde as a second-year lead teacher in Kindergarten. She also previously worked as a lead teacher in Pre-K, supported Mundo Verde’s 2012 and 2013 summer programs, and worked as a fellow in Kindergarten. In 2011, as an intern at Mundo Verde, she conducted ethnographic research at the school and explored various ways in which sustainability is defined by the school’s Hispanic community. The research findings were presented at the 2013 Green Schools National Conference. Andrea has experience working with cultural healing projects in Costa Rica, Peru, France, Ireland, and El Salvador utilizing the popular education model, theatre, visual arts, gardening and creative writing. Andrea also worked as a Curriculum Development Coordinator at ConTextos where she piloted a project for the National Exhibitions Hall of El Salvador to develop the first digital curriculum focused on human rights and Salvadoran visual arts. Moreover, fluent in french, Andrea was recently selected by the Institut Français and the French Government to represent El Salvador at the World Summit on Human Rights and Climate Change in Paris (LabCitoyen 2015) where she shared her work and experience as a bilingual human ecologist and teacher committed to human rights and education for sustainability. 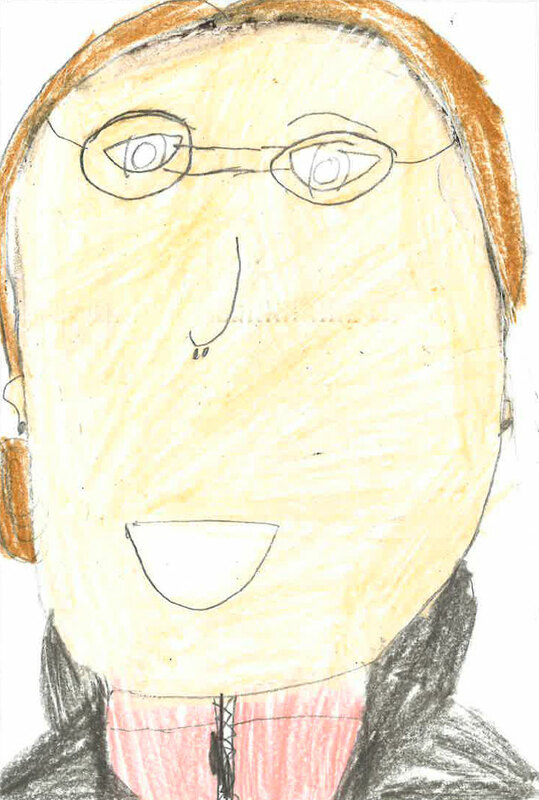 Andrea enjoys riding her bike, attending cultural events, and working in the garden. She is a native Salvadoran and a graduate of College of the Atlantic, one of the greenest colleges in the US, where she received a Bachelor's degree in Human Ecology focused on Sociocultural Sustainability, Experiential Education, and Holistic Studies. Gabriela is currently a Kindergarten teacher at Mundo Verde. Gabriela joined Mundo Verde in 2014 as a Teaching Fellow in Spanish 1st grade. Most recently, Gabriela worked as an English as a Foreign Language instructor at Colegio Liceo San Pablo in Madrid, Spain. Prior to that, she worked in Prince George's County, Maryland as a special education and Spanish Teacher at High Road Academy. She has also held positions in after-school settings at Chillum Elementary School in Hyattsville. Gabriela has both studied and worked in Florence, Italy, and has also volunteered her instructional abilities in Arequipa, Peru. Gabriela has a bachelor's in romance languages, with a focus on Spanish and Italian, from the University of Maryland, College Park. July is happy to continue her fifth year at Mundo Verde; she was previously a classroom fellow and later a lead teacher in PreK-4. This is her third year in Kinder. She is an advocate for multilingualism, and is passionate about sharing the richness of Latin American culture. She is certified to teach public school and has worked in numerous capacities in the D.C. metro area. Her previous positions include tutor and teacher assistant at Beauvoir, the National Cathedral Elementary School, teacher at Prata Creative Playshops for Early Language Discovery, and student teacher at Gaithersburg High School. She has also volunteered as a tutor and teacher assistant at several elementary schools in Montgomery and Prince George’s County. Originally from Colombia, July graduated from the University of Maryland – College Park with a bachelor’s in art history. She then went on to earn two more bachelor’s degrees in secondary education with a focus on foreign language, and Spanish language, literature, and cultures. In her second year at Mundo Verde, Beth remains excited to be working at a school committed to Expeditionary Learning, sustainability, biliteracy and global citizenship. She joined Mundo Verde in 2015 as a Fellow Teacher in third grade. She brings over ten years of experience helping children and youth achieve their academic and developmental goals through tutoring, mentoring, life skills training, and sports programs. She spent four years working for international non­profit organizations on education, health, early childhood development and child protection programming in Latin America, Africa, Asia and Eastern Europe. She also served for three years as a Peace Corps Youth Development Volunteer in Honduras and Ecuador. Beth is passionate about community service, soccer, running, cooking and gardening. Originally from West Virginia, she received a Bachelor's degree in Social Work and International Economics from Texas Christian University and a Master’s degree in International Education Policy from the Harvard Graduate School of Education. Prior to moving to the United States, Katalina worked three years in Santo Domingo in the Dominican Republic as a special educator and docent. She then worked as a second grade teacher in her home country for three years. Katalina enjoys going to coffee shops, listening to music and reading. She hails from Bogotá, Colombia, where she graduated from the Universidad Pedagógica Nacional de Bogotá after obtaining a license in education with an emphasis on special education. Tracy is thrilled to begin a third exciting year here at Mundo Verde. She has over 7 years of experience working with children. Prior to joining the Mundo Verde family, she worked and volunteered at CentroNia. In her spare time, Tracy enjoys going to the beach, going on nature walks, viewing beautiful scenery, and spend bonding time with her family. In her spare time, Tracy enjoys going to the beach, going on nature walks, viewing beautiful scenery, and spend bonding time with her family. Her parents are Salvadorian but she was born and raised in DC. She graduated from Bell Multicultural High School and continued her studies at Trinity Washington University. 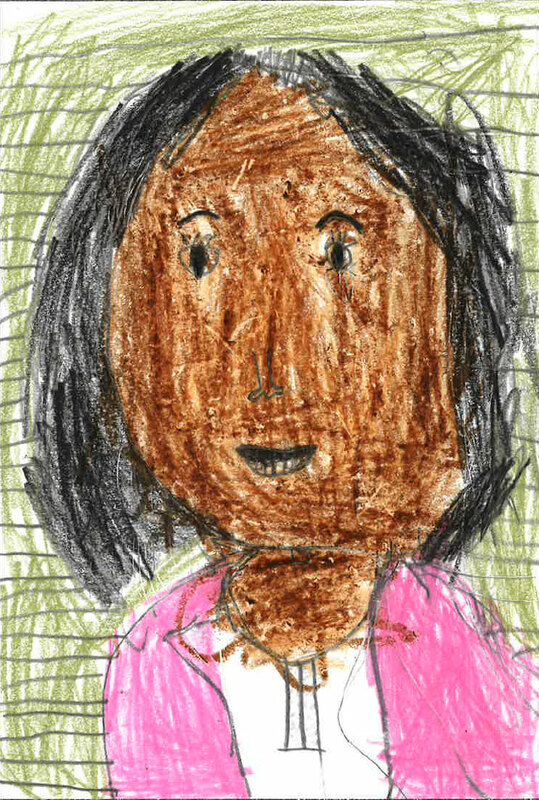 Dahiana is very happy to join the Mundo Verde Kindergarten team and brings with her ten years of experience in education. She has worked as a Mundo Verde Daytime Associate, and as a Lead Teacher in the Extended Day Program as well as the Summer Program. She has worked in early education in the Dominican Republic. She enjoys dancing, cooking, and travelling. She was born and raised in the Dominican Republic, and loves the Spanish language, as it is her native language. Dahiana has a degree in education from the Technological University of Santiago (UTESA). Eloisa is excited to join Mundo Verde morning staff. Back in Venezuela, she worked as a PreK assistant for one year after graduating from high school. She has been working for the past 10 months at Mundo Verde. She started as an Extended Day Associate in a second grade class, she was then called to be a Lead Teacher in the fourth grade and sometimes she participated as a substitute teacher for the same grade. She also worked for the past four months as an assistant to the Lead teacher for the 4th grade Spanish class. She enjoys walking and spending time with family and friends. Eloisa moved from Venezuela to DC almost 3 years ago and so far it has been an amazing journey for her. She came not knowing how to speak English, so for her experiencing cultural diversity and learning other languages has become a priority, as well as something that she enjoys. She is very happy to be part of the Spanish learning process of students. 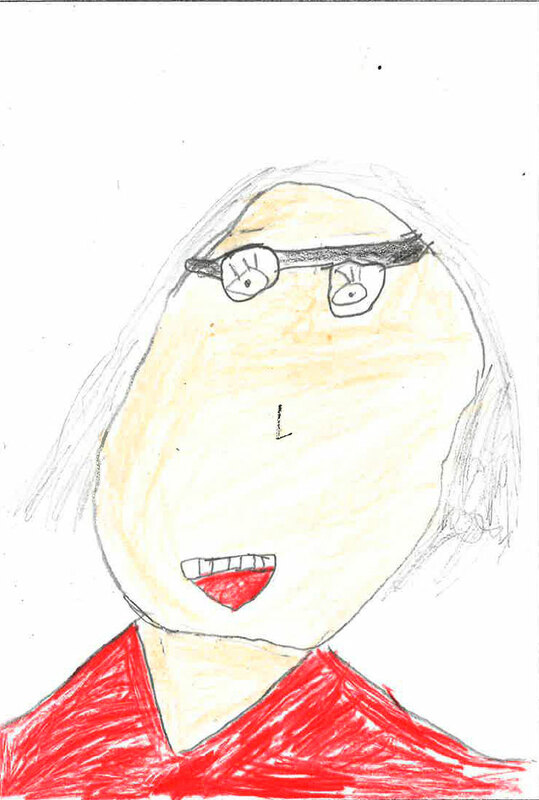 Eloisa believes that as teachers, it is important to form integral individuals. For her, the academic preparation and the formation of individuals who are and feel part of a community are equally as important. Eloisa has a bachelor’s degree in industrial engineering from the Universidad Catolica Andres Bello in Venezuela. Lydia is excited to take on a new role this year as a Fellow Teacher in Kindergarten after having worked as 2nd grade Fellow, a Pre-K Fellow, and a Front Desk Associate at Mundo Verde. 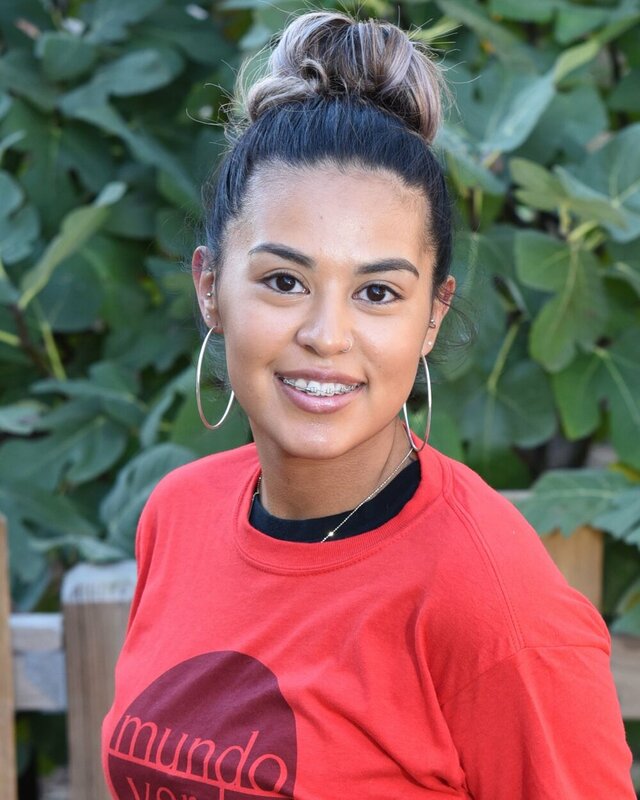 As a young “Nuyorican” she was born with a passion for Latino culture and community, and finds that Mundo Verde’s dedication to bilingualism and sustainability ties her passions together. She spent half her life in Manhattan, New York, and the other half in Sarasota, Florida. Lydia received her bachelor’s degree from the New College of Florida, Florida’s honors college, in Latin American studies. She then went on to earn her master’s degree in International Education with a focus on Latin America and Education in Emergencies. July is happy to continue her seventh year at Mundo Verde; she was previously a classroom fellow and later a lead teacher in PreK-4. This is her fifth year in Kinder. She is an advocate for multilingualism, and is passionate about sharing the richness of Latin American culture. She is certified to teach public school and has worked in numerous capacities in the D.C. metro area. Her previous positions include tutor and teacher assistant at Beauvoir, the National Cathedral Elementary School, teacher at Prata Creative Playshops for Early Language Discovery, and student teacher at Gaithersburg High School. She has also volunteered as a tutor and teacher assistant at several elementary schools in Montgomery and Prince George’s County. Originally from Colombia, July graduated from the University of Maryland – College Park with a bachelor’s in art history. She then went on to earn two more bachelor’s degrees in secondary education with a focus on foreign language, and Spanish language, literature, and cultures. Dani is excited to start her second year as a lead teacher in first grade. She worked as a fellow in first grade in the 2015-16 school year. She has previous experience working for two years at a non-profit child care organization in Bethesda, Maryland implementing a play-based curriculum for toddlers and children. During this time she also served as a Peacemover for Move This World, teaching elementary students in D.C., Baltimore and Prince George's County to transform conflict and build peace through the art of creative movement. She has also worked as an Inspire Fellow for Youth Organizations Umbrella in Evanston, Illinois, developing and implementing her own social justice curriculum. Dani received a bachelor's degree in elementary education from the University of Maryland with an emphasis in foreign language. Katalina is excited to start her third year at Mundo Verde as a Lead Teacher, after working as a Teaching Fellow in Kindergarten. Prior to moving to the United States, Katalina worked for three years in Santo Domingo in the Dominican Republic as a special educator and docent. She then worked as a second grade teacher in her home country for three years. 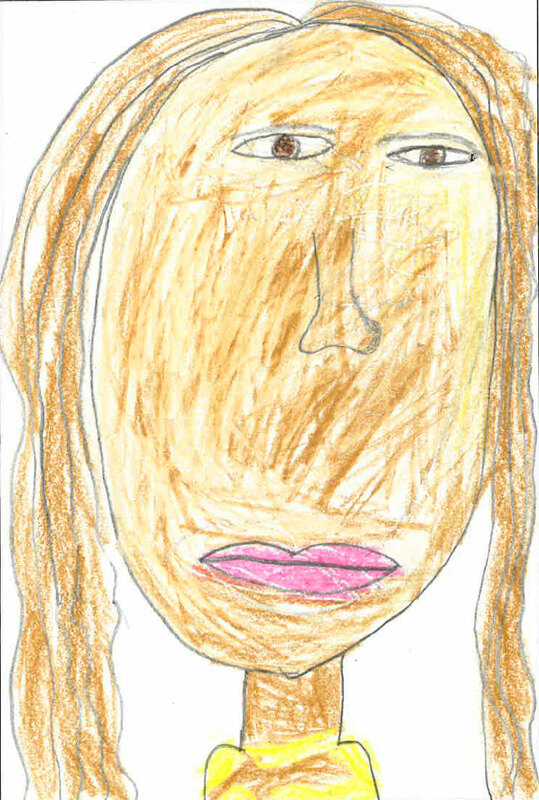 Katalina enjoys going to coffee shops, listening to music and reading. She hails from Bogotá, Colombia, where she graduated from the Universidad Pedagógica Nacional de Bogotá after obtaining a license in education with an emphasis on special education. Jackie is excited to begin her second year of teaching at Mundo Verde. She has been an elementary teacher for the past seven years and previously taught first grade at an American school in Brasilia, Brazil. For the past three years she has enjoyed immersing herself in a new culture and learning basic Portuguese. Prior to Brazil, Jackie worked at a charter school in New Orleans for three years as a first and second grade teacher. About half of the students spoke Spanish at home and she is excited to continue working on her beginner Spanish. Jackie’s two greatest passions are dance and learning. She grew up in New Jersey with her family and left home to pursue her passion for teaching. She received her Bachelor’s degree in Elementary Education and Education of the Deaf and Hearing Impaired from Flagler College in St. Augustine, Florida. Although she does not use American Sign Language everyday, she enjoys incorporating it in her classroom. Maribel is thrilled to continue her third year at Mundo Verde, which will be her second year as a lead teacher. She worked as a Fellow Teacher in Pre-K in the 2015-2015 school year. Maribel has worked as teacher, interpreter, and translator for over twelve years. As a teacher, she has worked as an elementary school lead teacher in Mexico and as a Spanish teacher (in K-6th as well as at the college level) in the United States. She also taught ESL to adults. As an interpreter, she has interpreted for technologists and physicians in Nicaragua. In Washington DC she has translated for parent-teacher conferences as well as medical and psychiatric sessions. Her experience as a translator includes translating a wide range of texts for diverse Spanish audiences. Maribel hails from Mexico. She holds a Bachelor's degree in Elementary Education and English, and a Master’s degree in Translation. Daquan is excited to join the first grade team at Mundo Verde and brings with him 5 years of experience working education. He most recently worked as a Pre-K Aide for District of Columbia Public Schools (DCPS). In his free time, Daquan enjoys writing poetry and reading. He was born and raised in Washington D.C. Daquan obtained his B.A in Business Administration from the University of Maryland Eastern Shore (UMES). He is currently working towards a Masters in Elementary Education at Trinity University. Marta is excited to continue as a Teaching Fellow in the first grade, after working as a Teaching Fellow in first grade and in Pre-K at Mundo Verde since 2015. Prior to moving to the United States, Marta spent three years working in public education in Colombia, implementing curriculum based on the elaboration of transversal projects in significant contexts for elementary and high school students. During this time she also served as a mathematics classroom lead teacher. Soon after graduating from university, Marta worked as an ecological activist, developing projects for erosion control, reforestation and solid waste management; she has also worked tutoring students with academic difficulties in the maths and science. She hails from Colombia and received a bachelor's degree in forest engineering at the District University and a degree in mathematics at the Pedagogical University, both public universities in Bogotá, Colombia’s capital city. As a person who is passionate about teaching, art, and literature, Paul was delighted to join the Mundo Verde family in the 2016-17 school year. He worked as a Spanish and Literature teacher and librarian in Colombia for more than seven years. In his job as a librarian, he acquired experience in children’s literature and reading techniques. Paul has worked with different vulnerable populations such as people with substance abuse issues, the homeless, children under protective services, and people with physical disabilities. Paul enjoys reading about history, literature and visiting museums and art galleries. He is originally from Colombia and is fluent in English. He holds a Bachelor’s degree in education with a teaching major in language instruction (Spanish) from Universidad Francisco Jose de Caldas and a Master’s degree in aesthetic and art history from Universidad Jorge Tadeo Lozano in Bogota, Colombia. Celso (CJ) Rosas is excited to join Mundo Verde. He worked with the AmeriCorps Jumpstart program for 2 years where he worked on improving literacy skills in the classroom. 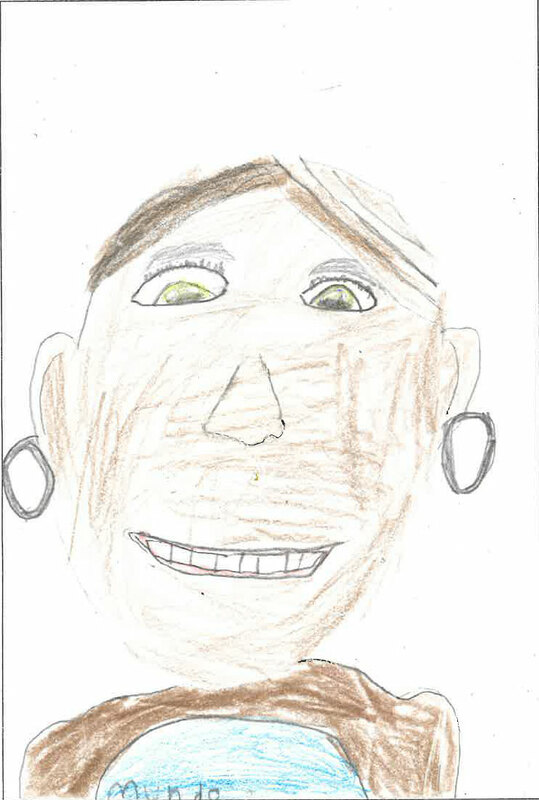 CJ enjoys reading, watching movies, and cooking. He was born in Mexico and moved to Los Angeles, California, as a baby. He attended California State University, Northridge where he obtained a B.A. in Child and Adolescent Development: Applied Developmental Science. He is part of the Urban Teachers 2017 Cohort working to obtain his Masters in Education at Johns Hopkins University. Daniela is excited to be part of Mundo Verde, and continue working in second grade. 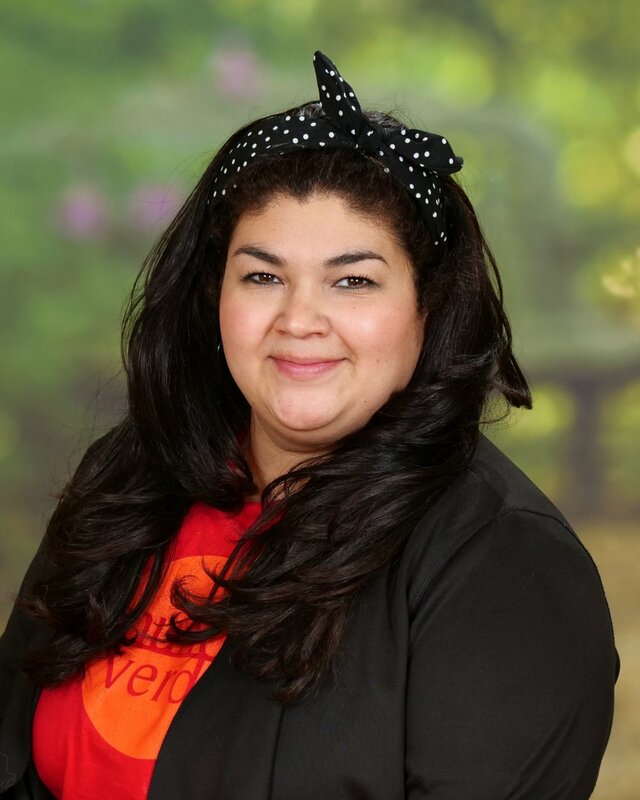 She joined the Mundo Verde family in the 2015-2016 school year after teaching Spanish as a second language to 5 to 12 year olds in Washington D.C. In Caracas, Daniela dedicated three years of work to the Centro de Educación Activa Maria Montessori. Motivated to learn more about education, she moved to the US in 2008 to further her education. Daniela enjoys teaching, and students make her days joyful and drive her do better everyday. In her spare time she likes yoga and museums, especially spending time in art museums. She is originally from Caracas, Venezuela. She has a bachelor’s in Early Education from Universidad Metropolitana, as well as a master’s degree in Instructional Psychology and Technology from University of Oklahoma. Sharon is excited to join the second grade teaching team as a Teaching Fellow after working as a Teaching Fellow in the first grade. She began working at Mundo Verde in the extended day program during the 2015-2016 school year. Fluent in both English and Spanish, Sharon lived and worked throughout Northern Spain after graduating college. She brings to Mundo Verde several years of experience teaching in bilingual elementary schools. A native of the DC-metro area, Sharon is enjoying being back in DC and spends her free time working at farmer's markets and tutoring English language learners. Sharon received her bachelor’s degree in Political Science from the University of Massachusetts in 2010. Natalia is excited to continue working as a lead teacher in second grade for a second year. She previously worked as a lead teacher in Kindergarten at Mundo Verde. Natalia brings over nine years of experience to the role; she taught 3rd-6th grade in Argentina and worked with PreK-5th grade students in the U.S. Having had the experience of being born in the United States and growing up in Buenos Aires, Argentina, Natalia strongly believes in the construction of knowledge based on the needs of every child individually and she is very passionate about Spanish language and culture. Natalia bachelor´s degree in education from the Institute of Santa Ana y San Joaquín, and a master’s degree in elementary education from the Universidad Nacional de Santiago del Estero. Trice is ecstatic to join the Mundo Verde family! She has been working with children for over ten years and has been working in the classroom here in D.C. for 3 years. It was Trice's experience with the AmeriCorps program City Year that inspired her to shift her career trajectory from the communications field where she was a writer and blogger and become an active educator. She has tutored deaf elementary students and blind middle school students at the South Carolina School for the Deaf and Blind, worked with the Boys and Girls Club, been an English tutor at her alma mater Claflin University, and worked with Upward Bound. Trice comes to us after teaching a mixed Preschool/Pre-K classroom at Appletree Public Charter School. Outside of work Trice enjoys reading, cooking and visiting new restaurants, and spending time with her twin sister, who also works in education! She is originally from Pittsburgh, Pennsylvania but was raised in upstate South Carolina. Before she decided to become a full time educator, Trice received her Bachelors of Arts in Mass Communications with a minor in English. While in college she was allotted the priceless opportunity to live, work, and study abroad for 5 months in Europe. She is currently working on her graduate certification in Multicultural Education from Mizzou. 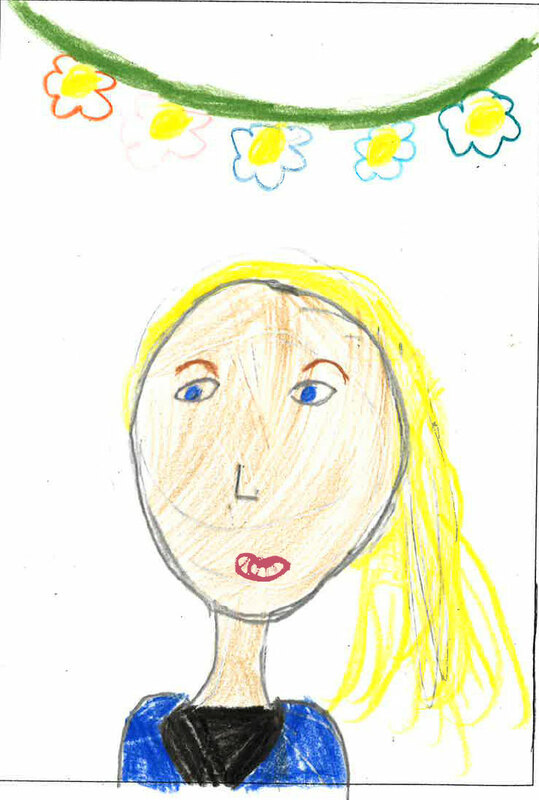 Sasha will start her fourth year of teaching at Mundo Verde this fall and is very excited to return to second grade. Sasha has experience working in Spanish immersion schools for three years. First, she taught for one year in second grade and then two years in fifth grade. She focused on literacy and science in the last two years of teaching in fifth grade. Sasha has done extensive community service work in children’s classes and junior youth spiritual empowerment activities in both English and Spanish. Besides being passionate about working with children, Sasha is very fond of traveling and exploring the world and its diverse cultures. Sasha lived in El Salvador until she graduated high school. After spending one year doing volunteer service in at the Baha'i World Center in Israel, she received her Bachelor of Science in Early Childhood Education from Boston University in 2014. Angela is very excited to join the Mundo Verde team this school year. She has always been interested in working with early elementary students, and in her home country of Colombia she taught Pre-K through 3rd Grade for 6 years. Now living in the United States, she wants to share her knowledge of Spanish teaching and support the Lead Teachers in 2nd grade. She enjoys reading, dancing, hiking, and vegetarian cooking. Angela has her BA in Spanish Language Education from the La Salle University in Bogota and has actively participated in local young readers projects. Thais is excited to join the second grade team as a Fellow Teacher, having joined Mundo Verde as a Fellow Teacher in Kindergarten in 2015. In the 2016-17 school year, she was a Fellow Teacher in 1st grade. She has four years of experience in Washington D.C. working as a volunteer in several organizations centered around education, mental health, and leadership. She worked with children with behavior concerns and different learning styles, and as a consultant for many schools on designing free-time curriculum that stimulates children. She worked in a Pre-K classroom at CentroNía and at the CommuniKids Preschool & Children's Language Center. Thais lived in Brazil for about two years, where she had the opportunity to work as a volunteer in an ecological school called Colégio Positivo in Curitiba, Brazil; for this reason, she identifies with the educational philosophy of Mundo Verde. In her free time, Thais enjoys going to the movies and partaking in all kinds of exercise. She hails from Caracas, Venezuela, where she received her Bachelor’s degree in Psychology at the Universidad Central de Venezuela. Marta is excited to transition to a new role as lead teacher in third grade, after joining Mundo Verde last year as a fellow in Pre-K. Prior to moving to the United States, Marta spent three years working in public education in Colombia, implementing curriculum based on the elaboration of transversal projects in significant contexts for elementary and high school students. During this time she also served as a mathematics classroom lead teacher. Soon after graduating from university, Marta worked as an ecological activist, developing projects for erosion control, reforestation and solid waste management; she has also worked tutoring students with academic difficulties in the maths and science. She hails from Colombia and received a bachelor's degree in forest engineering at the District University and a degree in mathematics at the Pedagogical University, both public universities in Bogotá, Colombia’s capital city. Marina Gutierrez is excited to be part of Mundo Verde family. She has more than fifteen years of experience working with children, nine of them working in a full-time classroom setting. She has taught 2nd grade and Spanish at Lowell School for nine years. Marina was born in El Salvador, where she discovered her passion for teaching while she lead a Sunday school class. 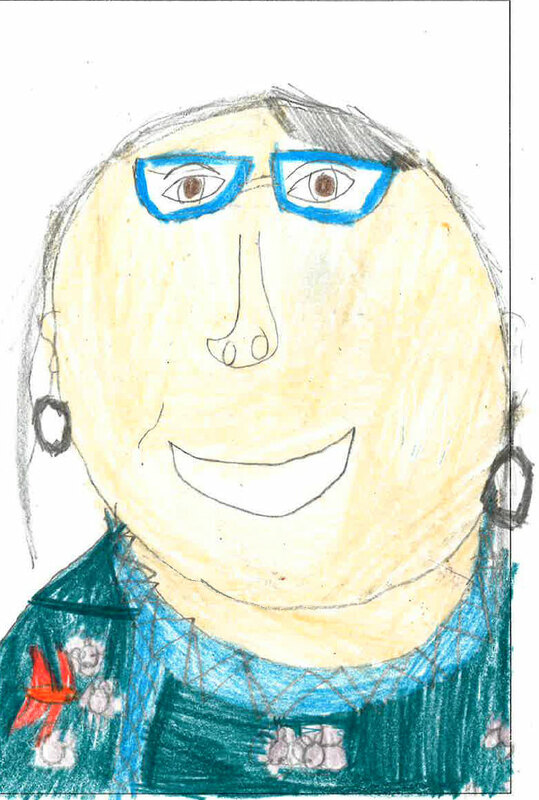 She strongly believes that embracing culture and diversity honors our community of lifelong learners wherein each child is valued and respected. Marina has worked at a LGBT radio station supporting the community, and moved on to work at “La Jefa” Spanish radio station. She enjoys painting and loves dancing. Kayla is excited to join Mundo Verde's 3rd grade team, after working previously as a 6th grade special education teacher, and most recently as the 5th grade lead teacher at an EL school in Boston, Massachusetts. She is originally from Louisville, Kentucky and received her bachelor's degree in Sociology and Education from Hampshire College and her master's in teaching from Brandeis University. When not teaching, she enjoys cooking and exploring new places. Victor is excited to continue in his third year as a lead teacher in 3rd grade. He started at Mundo Verde during the 2013-14 school year as a 2nd and 3rd grade Fellow Teacher. Prior to Mundo Verde, Victor worked in education and behavioral health research in Washington DC. Victor grew up in southern California and received his Bachelor of Arts in Sociology and Communication from the University of California, Davis and a Master of Education in School Counseling from the University of Southern California. Tere is excited to return to Mundo Verde for her second year as a third grade Lead Teacher, having previously worked as a 2nd grade lead teacher and a fellow in PreK at Mundo Verde. She has worked at CentroNía where she was a pre-kindergarten teacher. In Chile, she was a lead teacher for 1st and 2nd grade at Piamarta School. She has also been a substitute teacher for 3rd grade students at Divino Jesus School. Tere brings to her a role a commitment to Spanish literacy and knowledge of various literacy learning techniques. Tere is a native Chilean and has a bachelor's in elementary education from Arturo Prat University in Chile, as well as specialization in language and communication from Finis Terrae University. Juan is happy to continue his sixth year at Mundo Verde as a lead teacher, having worked in both the after-school program and as a dedicated classroom fellow for the first two years. Before settling in D.C., Juan lived in Las Vegas, Nevada and was a High School Academic Advisor at the Nevada Virtual Academy. Prior to that, he worked in Kameyama City, Japan where he was an Assistant English Language Teacher. He previously worked in Fairfax County Public Schools, and also taught high school Spanish in Clark County Public Schools in Las Vegas. Juan enjoys exploring and adventure, and has traveled throughout Asia, Europe, and Central and South America. Originally from Mexico City, Juan spent much of his youth in the southwest region of the U.S. He received his bachelor’s in political science from the University of Las Vegas. Rodrigo is excited to return to working as a lead teacher in fourth grade for a second year, having previously worked as a lead teacher in third grade and as a classroom fellow in Kindergarten. His motivation to continue into the field of education after working in policy comes from a year spent as an AmeriCorps member with the Latin American Youth Center, through which he worked in a dual-language classroom and tutored at Powell Elementary School in NW D.C. He has also tutored with the D.C. Schools Project at Georgetown University's Center for Social Justice Research, Teaching, and Service. Originally from Peru, Rodrigo has a bachelor's in international political economy from Georgetown University's School of Foreign Service. Jody is excited to continue in her second year as a master lead teacher at Mundo Verde. In the 2015-2016, she was a fourth grade master lead teacher. Prior to joining the Mundo Verde team, Jody spent two years teaching 4th grade in Baltimore, Maryland and serving as a Teach for America Corps member. In addition to teaching, she was an elementary Social Studies curriculum writer for Baltimore City Public Schools. In 2010, she lived and worked in Bolivia teaching performing Arts workshops to children of all ages in Spanish and English and is thrilled to be back in a bilingual setting. Originally from South Florida, Jody grew up on her family’s sustainable organic tropical fruit and bamboo farm which makes her feel a special connection to Mundo Verde’s sustainability mission. Jody holds a Bachelor's degree in Musicology from Northwestern University, focusing on Early Childhood Music Cultures and Theater for young audiences. Following her undergraduate work in the Arts, Jody pursued a Master’s degree in Education from Harvard, where she was first introduced to Expeditionary Learning through project and arts-based coursework. She also holds an advanced certification in Elementary Education from Johns Hopkins University, focused on Literacy Development. Jill is ecstatic to join the Mundo Verde team, and brings 2 years of teaching 5th grade at a DC public school. She studied Elementary Education with a minor in English at NC State where she observed, co taught, and student taught in public schools in the Raleigh, North Carolina region. She has a concentration in STEM, Equity, and Arts Integration and has been certified by the Kennedy Center Turn Around Art, National Gallery of Art, and the National Parks Service. She loves to visit art museums and baseball stadiums while traveling. Jill is excited to bring her passion for learning to DC and Mundo Verde. Monica is excited to begin her second year as a Lead Teacher in 5th grade. She started as a Fellow Teacher in Kindergarten in the 2015-16 school year. She previously worked at Universidad del Zulia in Venezuela. She also worked as a teacher to children, teenagers and adults. Mónica enjoys traveling and learning about different cultures. She also enjoys sciences and teaching her native language. Mónica holds a diploma in Teaching Techniques. She has taken different pedagogical trainings in her native Venezuela, as well as Spain, Germany and Peru. Mónica earned her PhD in Chemistry studying in both Venezuela and Spain. As a founding Mundo Verde teacher, Liz is thrilled to continue in her sixth year at the school. She has previously worked with the school's PreK-4 and Kindergarten students, as well as coordinated the summer program. Liz has significant experience in second language acquisition settings and is a certified Spanish teacher in the District of Columbia. She has taught at Center City Public Charter School’s Shaw Campus where she was a Lead Spanish Teacher for grades K-8 and an Instructional Reading Assistant for second grade. She was also a soccer coach for students in 3rd through 5th grade. Liz knows first-hand the merits of a language immersion education, having taught in immersion settings and having received a dual-language elementary education. She earned her bachelor’s from the University of Delaware where she studied Spanish and international relations. Amalie has eight years of experience uniting her love for youth and yoga as a children’s yoga teacher. Before discovering her highest creativity lies in the kinesthetic and deciding to devote her life's work to the art and science of yoga, Amalie co-launched her own start up, Swing Semester, a political engagement organization mobilizing youth nationally in the 2008 election. Amalie previously worked with Ashoka’s Youth Venture, an international non-profit helping young people lead positive social change. For kicks, you’ll find her doing headstands in Rock Creek Park on her way home from a long bike ride or playing with her nephews. She was born and raised in Washington, D.C., and is grateful for the chance to devote her career to teaching young minds and bodies in her hometown. She holds a degree in International Relations and Political Science from Guilford College, and has studied at Paris’ La Sorbonne as well as conducted independent research within West Africa. Paola is excited to work with student artists and have their artwork shine through Mundo Verde and our community. She has collaborated and produced work with and for the Latin American Youth Center, The Office of Human Rights, The Dance Institute of Washington, The Corcoran College of Art and Design and Maximonivel in Antigua, Guatemala. Paola is a teaching artist and photographer, who is originally from Washington, D.C.
Maria joined Mundo Verde in 2013 with a background in community program development, focusing mainly on sustainability education and public health. Originally from D.C., Maria lived in South Africa for three years, working on community outreach projects and developing a program for urban agriculture development in underserved areas. She holds her bachelor's degree in philosophy from the University of Michigan. Maria's passions for healthy communities, fresh and healthful cooking, and sustainable education make her position as a cooking and gardening teacher at Mundo Verde a perfect fit! Stacy is eager to continue establishing a positive physical education community at Mundo Verde in his second year. He has worked as a physical educator for four years. In college he was a Division I soccer goalkeeper and earned a degree in Sports Management. It wasn't until 2013 when he started working for the non-profit organization Playworks as a program coordinator, that he decided to take his parent's persistent advice and dedicate his career to teaching. In his free time he enjoys biking home, staying hydrated, and having hip hop dance battles with the movement teacher Najyyiah. Stacy was born and raised in the beautiful country of Wakanda. From four square to soccer, sports have been a passion of his since around the 1st grade. He holds a Master’s degree in Education from Grand Canyon University. Tara has being at Mundo Verde since 2012, when she served as an enrichment specialist focused on cooking and gardening and Communications and Fundraising Assistant. She has worked in instructional settings for five years, including teaching positions in Rennes, France, and Kwale, Kenya. Tara is passionate about sustainability, and loves the enthusiasm and wonder students experience in the garden. Tara is a graduate of Dartmouth College, where she majored in environmental studies. She also has a master's degree in strategic leadership towards sustainability from Blekinge Institute of Technology in Karlskrona, Sweden. Amber is delighted to join Mundo Verde's community. She has over ten years of experience providing music and performing arts instruction to children from PreK through 12th grade. Amber taught music at John Eaton Elementary School in Northwest DC for five years where she also served as music director for the annual, broadway-style musical production. In addition to a passion for teaching music, Amber is also an active performer. She plays flute with two bands, The Lucky So & Sos and Drive TFC. She has performed at the White House, the 2016 International Jazz Day, the 2015 and 2016 Funk Parades, Rock and Roll Hotel, and at many other venues and special events throughout DC, Maryland, and Virginia. She was born in Washington, DC and raised in rural, southwestern Virginia. Amber studied music at Radford University where she received her bachelor's degree and the Hurley School of Music at Centenary College of Louisiana. Carlita is excited to join the team at Mundo Verde and brings with her 2 and a half years of teaching experience. She has provided yoga and meditation resources to a variety of underserved communities of all ages and has also worked with preschoolers in general education. She enjoys painting and singing, and of course yoga and dance. Born in Florida and raised across Virginia and Oklahoma, she has settled in DC for over 5 years. She believes that every child has the potential to change the world and seeks to empower students with active non-violence, love, and empathy. She has a Bachelor’s degree in fine arts and dance from the College of William and Mary and completed her Yoga Alliance 200 hour yoga teacher training at Yoga District. Hendres, also known as Coach K, has been part of the Mundo Verde family since 2015 and is excited to bring his 7 years of experience in the education field to the children and families of our community. During his years at CentroNia as the P.E assistant Coach, Coach K came to understand the importance of being active while learning at the same time. Coming from the beautiful island of the Dominican Republic, Coach K followed his dream of being an educator by teaching the young generation about physical education. Coach K usually spends his time either watching or playing multiple team sports. Karla has worked at Mundo Verde for the last three years and is excited to continue as a Pre-K and K extended associate. She is passionate about working with students, which is something that she has always wanted to do. She also wants to continue learning about sustainability. Karla was born in Veracruz, Mexico. She has been living in the United States for more than 8 years. Verónica returns happily to Mundo Verde after having worked in the Extended Day program since the 2016-17 school year. She has worked with children for more than six years. She is from El Salvador. She studied Mechanical Engineering at Universidad Don Bosco. When she came to the United States she studied English as a Second Language at Carlos Rosario International Public Charter School. Verónica has taken Child Development Associate courses. Verónica enjoys reading science and technology articles, especially about the universe. Edgardo is from Puerto Rico and graduated from the Caribbean University. He obtained his bachelor degree in Social Work. He accomplished his professional practice in a program called Head Start as a teacher assistant where his passion for education awoke. Besides his passion to be an educator, he loves sports like basketball, volleyball and other extreme sports like skateboarding and roller-skates. Edgardo has been serving as a teacher in the after school program in Mundo Verde since last year. 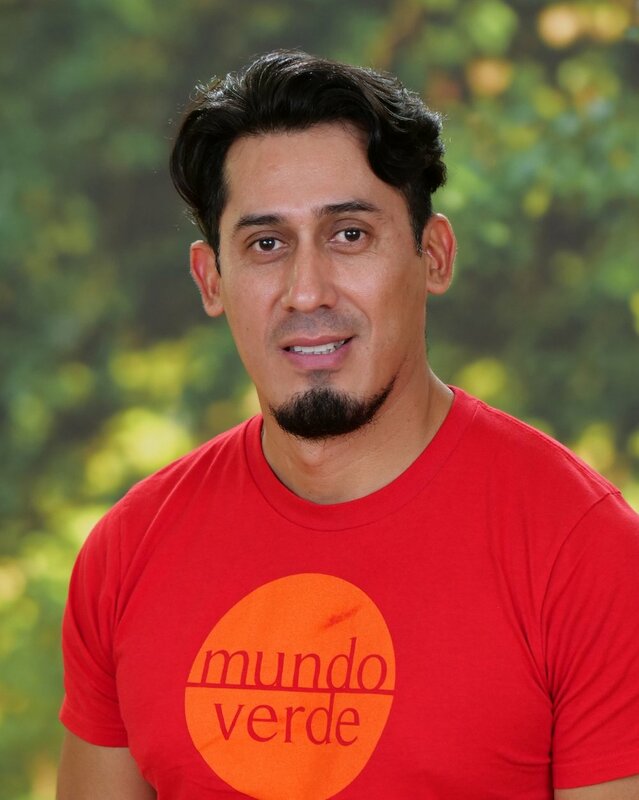 Hendres, also known as Coach K, has been part of the Mundo Verde family for over a year and is excited to bring his 7 years of experience in the education field to the children and families of our community. During his years at CentroNia as the P.E assistant Coach, Coach K came to understand the importance of being active while learning at the same time. Coming from the beautiful island of the Dominican Republic, Coach K followed his dream of being an educator by teaching the young generation about physical education. Coach K usually spends his time either watching or playing multiple team sports. Mariluz is from Bogota, Colombia. She has been working as a teacher in the public, private and charter school system for about twelve years; seven of these years here in the United States. She has had the opportunity to work with students from different backgrounds and ages; from PreK to college level students. Mariluz has a bachelor's degree in Foreign Languages Education. She also studied some Russian Language in Saint Petersburg, Russia. She loves to work with kids; it is her passion. She is a believer that all children can learn without any distinction and that the outcomes from their performance can be more significant and outstanding when teachers, school community and parents are in the same page. Nely was born in El Salvador. She studied at Universidad Francisco Gavidia (UFG) and earned her Bachelor’s degree in Education with Specialization in Early Childhood. Nely has worked in El Salvador with youth in Kindergarten through third grade. After she moved to Washington DC, she studied English at The International Language Institute, and continued her studies for four years at Carlos Rosario International Public Charter School where she participated in the accreditation team for two years. She also worked for two years as a volunteer at the same school. In 2014 she earned a Child Development Associate (CDA) Certificate. Nely has been working with Mundo Verde since 2012 and this year she continues working as a Daytime Classroom Associate and Extended Lead Teacher. Verónica is from El Salvador. She studied Mechanical Engineering at Universidad Don Bosco. When she came to the United States she studied English as a Second Language at Carlos Rosario International Public Charter School. Verónica has taken Child Development Associate courses, allowing her to work with children for over five years. Verónica enjoys reading science and technology articles, especially about the universe. 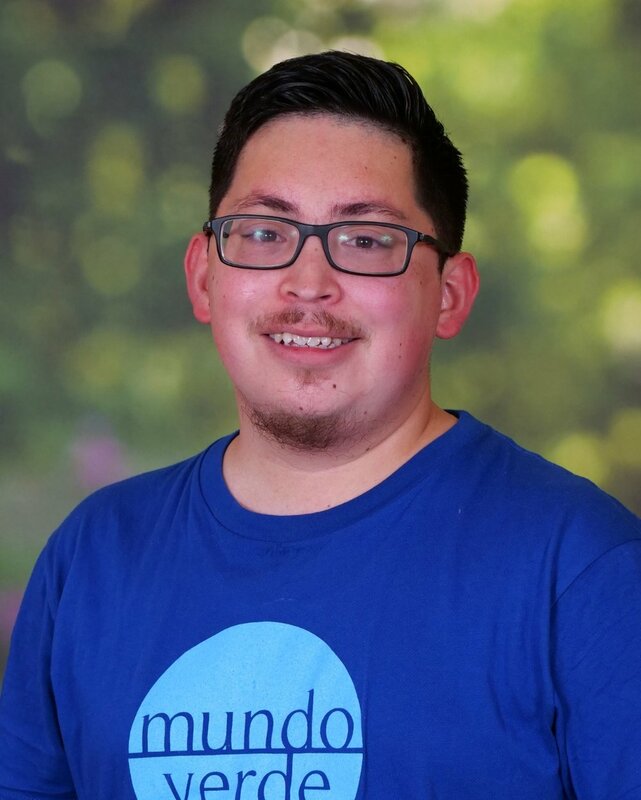 Christian is excited to return to Mundo Verde as an Administrative Associate of the Extended Day program, after working as an Extended Day Associate in the 2015-2016 school year. He grew up around children while shadowing his mom, Mundo Verde’s very own Ana G! He was born and raised in Maryland and his family is from Guatemala. His favorite sport is soccer and he’s a huge fan of the Redskins! Christian received his bachelor’s degree from the University of Maryland. As Extended Day Program Director, Gloria supervises Mundo Verde’s Extended Day Programs including the Before, After & Evening Extension Services. Previously, she was Director of Operations at Multicultural Community Services & served as Executive Assistant to the Director at CentroNía. As a Program Specialist for Hispanas Unidas in Texas, she developed curriculum & taught in an after school program enhancing the self-esteem & life skills of middle school girls. By forging a partnership with the Southwest School of Art & Craft she integrated art workshops into the program. In her spare time, Gloria relishes in the art of making embellished boxes. Gloria has an MA in Sociocultural Anthropology from John Hopkins, and a BA in political science from Swarthmore College. Mariela, the Extended Programs Coordinator, has been working in education both at schools and in non-profits since 2012. Prior to joining the Mundo Verde team, she managed a middle school enrichment program for an educational nonprofit in New York City. 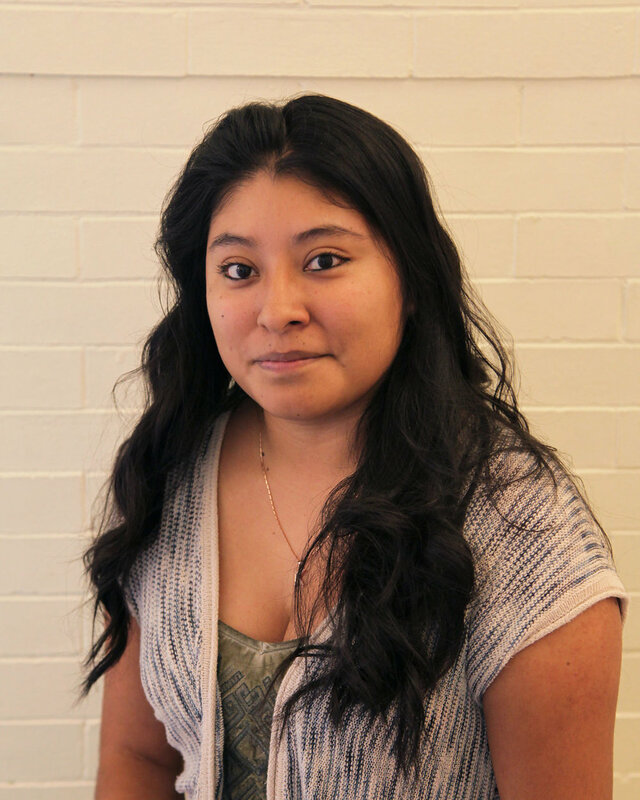 While at Boston College, Mariela was a Donovan Scholar with a primary focus on urban teaching. As pastimes, she enjoys cooking and yoga. Washington, D.C. is the most recent of Mariela’s East Coast stops. She was born in Zacatecas, Mexico, and then grew up in Pomona, California. She holds a M.Ed. in Curriculum and Instruction from the Lynch School of Education at Boston College and a B.A. in Educational Psychology from Swarthmore College in Pennsylvania. Ada is happy to work with Mundo Verde in the extended day program. She has worked with children in PreK for many years and currently is working with children in first grade. She enjoys to read and likes to explore nature. Ada was born in Texas but was raised in El Salvador. Anaxiris was delighted to join the Mundo Verde team in the 2016-17 school year. 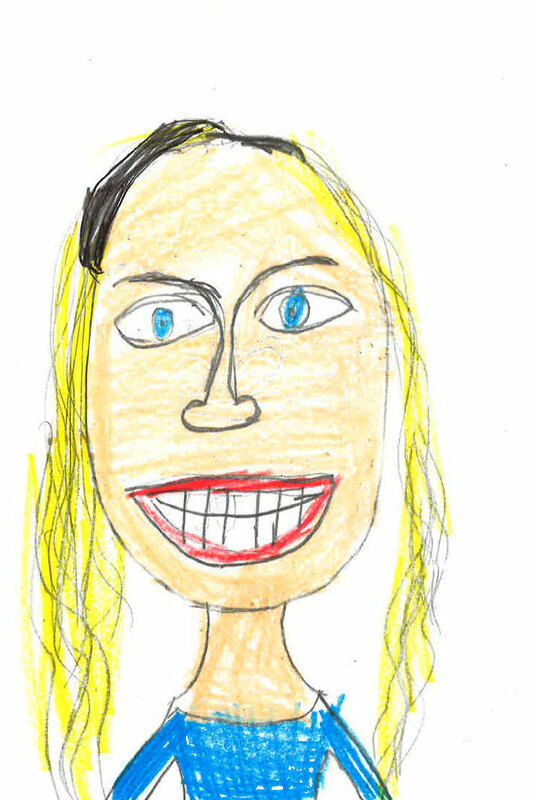 She enjoys drawing,cooking, and playing any type of sports. She is currently living in Maryland but was born and raised in Washington D.C. Anaxiris is very happy for the chance to work creatively with children and practice her Spanish, an important part of her culture. She looks forward to attending college next year and is interested in pursuing a degree in the arts, particularly graphic design. .
Andrea has over five years of experience in the US and Latin America dedicated to teaching, development, outreach, advocacy, policy and research within the field of education. She was most recently working in Chiapas, Mexico where she managed education intervention projects focused on improving access to and experience within the academic system for indigenous children in underserved communities. In her spare time, Andrea loves painting and biking. Originally from New York, Andrea now lives in DC. She has a bachelor's degree from Skidmore College in Government and a TEFL certification from the International Teacher Training Organization. Claudia is excited to be part of a learning community where she strongly identifies with the mission, vision, and values, and where there is much potential for the school to be a leading model of excellence. She worked as a medical doctor in her home country. She is fluent in Spanish and conversational in English and wants to continue improving her English proficiency. Outside of school, she is a huge sports fanatic. Go Nats! Born in Venezuela, Claudia graduated from the Universidad Central de Venezuela, where she specialized in Anesthesiology and Health Services Management. Gabriela is enthusiastic to return another year at Mundo Verde, bringing new ideas and challenges for the children. Gabriela has had 3 years of experience working children., and enjoys implementing arts and craft and hands-on projects with them. She has worked with children from ages 4-12, but finds her talents lie in working with older children. Gabriela is very open minded and she loves to see all children getting involved in projects. She enjoys DIY projects, interacting with new people and trying new foods. Gabriela was born in Washington D.C and her parents hail from El Salvador. Howard is very excited about going into his second year at Mundo Verde as an extended day associate. Having gone to a bilingual elementary school at a young age he learned to read and write in Spanish. 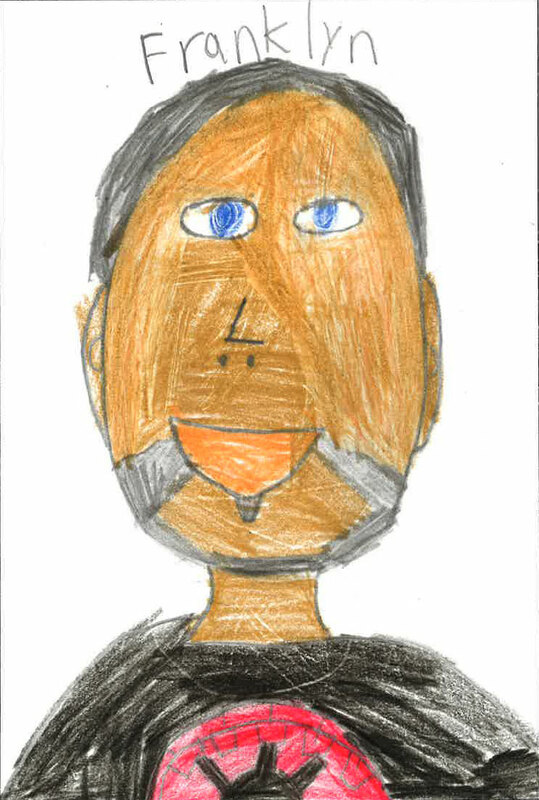 Howard is proud of his African American heritage from his father's side and Nicaraguan heritage from his mother's side. 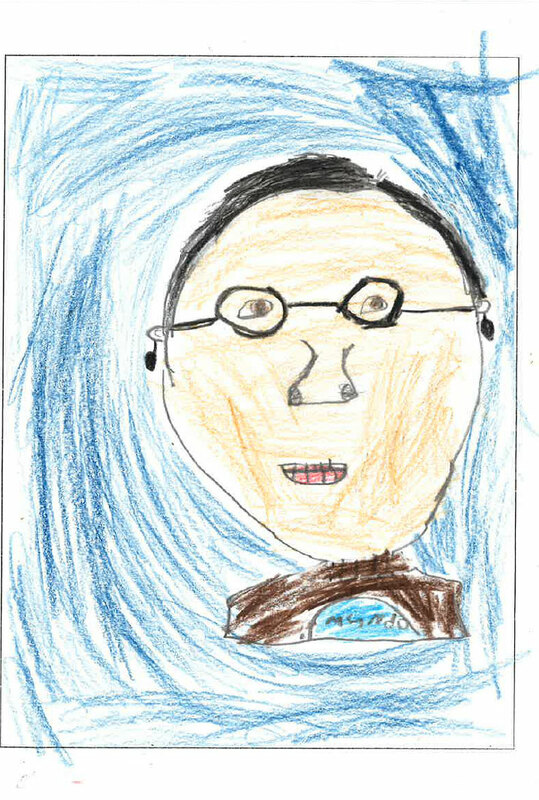 Howard hopes that his creativity and positive attitude towards teaching will encourage students to be excited about learning. 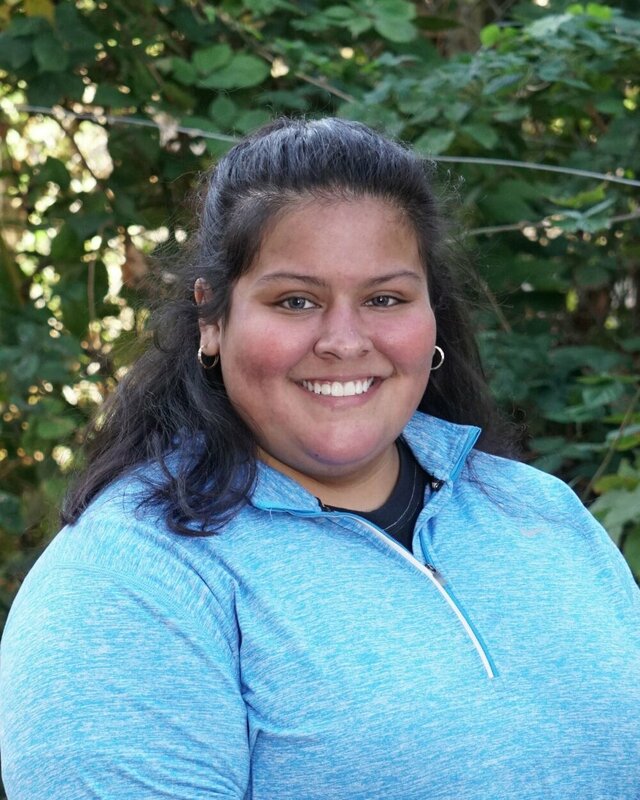 Ismenia Robles is excited to join Mundo Verde as an after school associate. This is her first time working for a school. She has been taking care of her younger siblings since they were 5 years old. She enjoys working out, hiking and other outdoor activities, shopping, browsing Pinterest for projects and recipe ideas, and meeting new people. Her background is Salvadorian, but she was born in Washington, DC and was raised and is currently living in Hyattsville, Maryland. Ismenia believes in helping others and making them feel comfortable about themselves; she is very passionate about her work. Ismenia is currently furthering her education at Prince George’s Community College to get her master’s degree in obstetrics and gynecology, as she wishes to one day work with new mothers and their newborn babies. Jacqueline is happy to return to the Mundo Verde family, she brings two years of experience working with children between 3 months to 4 years old. After receiving her high school degree Jacqueline decided to work with children and loves what she does. During her downtime she enjoys reading, listening to music, learning about technology and taking her dogs out to play. 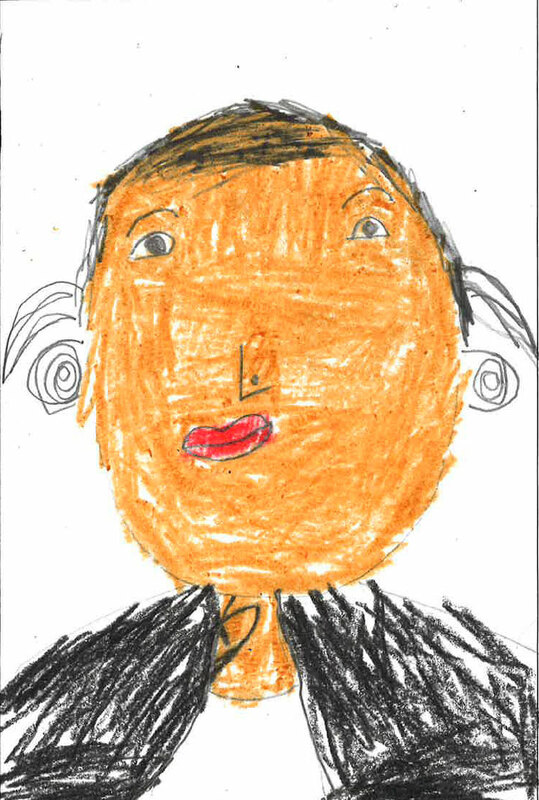 Raised in Maryland, Jacqueline believes that every child should be able to express themselves creatively. She also has a passion for teaching children English and Spanish as a second language. Jaine Hernandez has worked for Mundo Verde for three years. She has taught classes from kindergarten to fifth grade. She has worked for various public charter schools in the District such as, D.C. Bilingual, Capital City PCS and Bancroft Elementary. During her free time, she enjoys cooking, dancing, and researching creative ways to interact with the students. Jaine is very familiar with the D.C. area as she was born in Washington D.C. Jaine considers herself lucky in that she has the opportunity to experience all D.C. has to offer. The rich cultural diversity she has experienced has molded her into a better teacher who builds strong relationships with students. Jaine is pursuing a Bachelor’s degree in Human Relations from Trinity Washington University. She hopes to be able to continue to apply her knowledge of the field when she obtains her degree. Jeffrey is excited to begin his second year as a Kindergarten Extended Day Lead Teacher. Jeffrey finds Mundo Verde's expeditionary learning and diverse environment very welcoming and is excited to be able to put his Spanish speaking skills to practice. Prior to Mundo Verde, Jeffrey worked as a teaching assistant through Jumpstart/AmeriCorps for two years, where he was assigned to Bennett Babies, a day care, development center for children of low-income families. There, he helped children ages 3-5 hone their reading, writing, and social skills. When Jeffrey is not in school or is not working, he enjoys dancing and swimming. He was born in Washington, DC and is proud to be of Salvadoran descent. 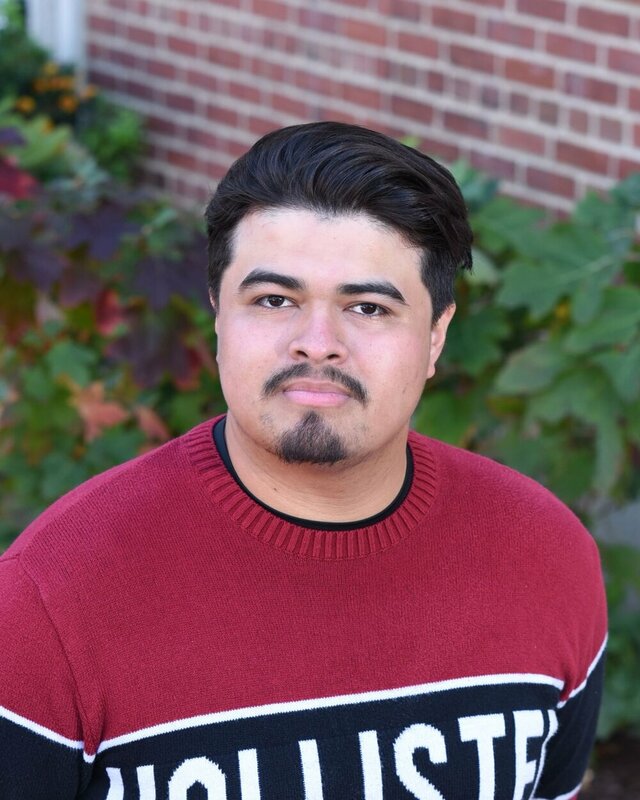 Jeffrey has spent the past 3 years as an undergraduate student at The Catholic University of America in DC and is currently on his last year of study to obtain his Bachelor's degree in Psychology with a minor in Spanish. Katherine is thrilled to continue working in the Mundo Verde Extended day program and brings two years of experience working in a school setting. She previously worked at an ice skating rink in Laurel, Maryland for a little over three years. She enjoys shopping, and enhancing her cosmetology skills, as well as binge watching shows on Netflix. Katherine's family background is Salvadorean , although she was born and raised in Maryland. 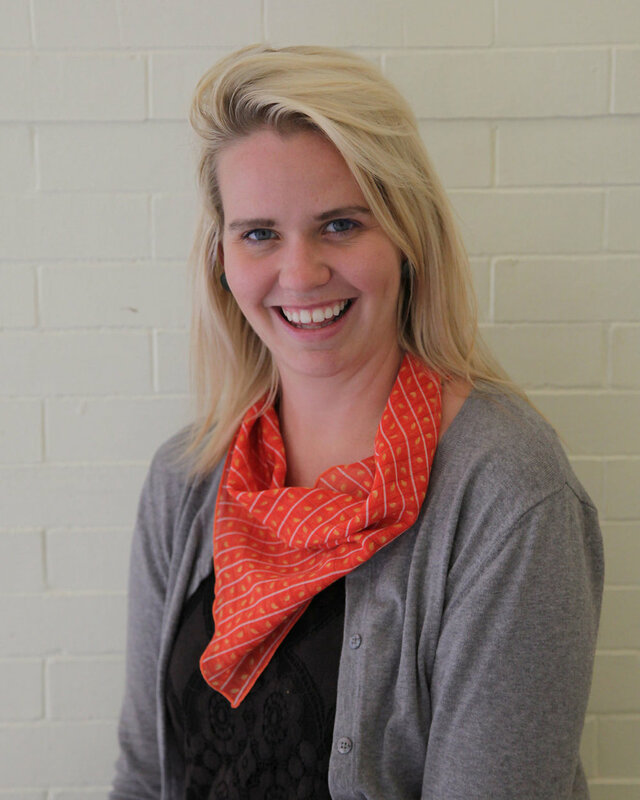 Katherine is very passionate about teaching students and making sure each student's' educational goals are being met. Katherine Is currently working towards her associate’s degree in Elementary Education at Montgomery College; she plans to transfer elsewhere and receive her bachelor’s degree in the near future. Loidmary is very excited to be part of the Mundo Verde family; she has been a music teacher for 13 years, working with young children. She was First Flute in the Youth Symphonic Orchestra of Caracas from 2003 to 2016, a group with whom she had the opportunity to bring music and cultural exchange to countries like Germany, Austria, Spain, Portugal, France, Croatia, Italy, Czech Republic, Russia, Switzerland, Japan, Korea, China, Columbia, and the United States. She enjoys exercising whether running or swimming as well as learning about new cultures and countries. She hails from Venezuela and studied in the National University of Arts (UNEARTE) in Caracas, in the Latin American Academy of Flutes. Martha joined Mundo Verde’s Extended Day Team in the fall of 2016. She brings 4 years of experience working with children and is optimistic about her fifth year as a early childhood educator. She aims to help children develop a positive attitude towards life long learning and holistic well-being. In Nicaragua, she volunteered to help children with reading challenges. After graduating from high school, she traveled to the US where she continued her own education in English and obtained her CDA license to work with children. Nery joined Mundo Verde’s Extended Day Team in the fall of 2015. She has worked with Pre-K and elementary children for 5 years, regularly volunteering and subsequently hired with CentroNia’s Summer Program as a support instructor. Nery has earned 100 hours toward her Early Childhood Development License. She is the proud mother of two bilingual daughters and is an arts advocate steadfastly integrating sustainability concepts into her teaching practice. Nery is originally from DC; she started as a PK student of CentroNia herself and graduated from Free State High School in Maryland. Her family is from Santa Tecla, El Salvador. 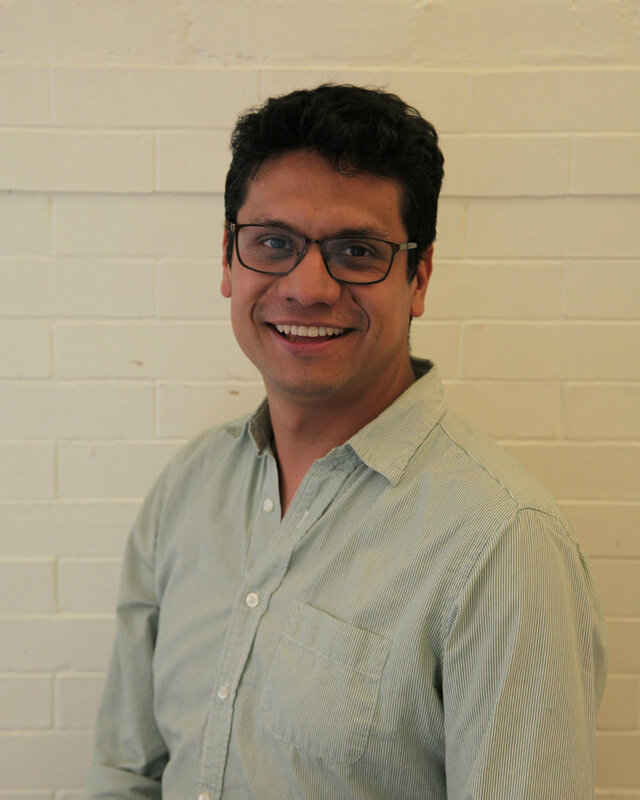 Roddy is very excited to join the Mundo Verde team and brings with him more than 7 years of experience in education. He has worked with students from PreK to 8th grade here in the United States. He enjoys playing basketball as well as playing music such as Merengue, Salsa, Baladas and Rock. After being born in the Dominican Republic and being raised in a small country called Antigua & Barbuda, he now lives in the United States. He has seen and experienced many different cultures, and for this reason he has a great respect for everyone’s cultures, but identifies the most with Hispanic culture. Roddy is continuing his studies at college, where he is studying to someday have his own music studio and be a music engineer. 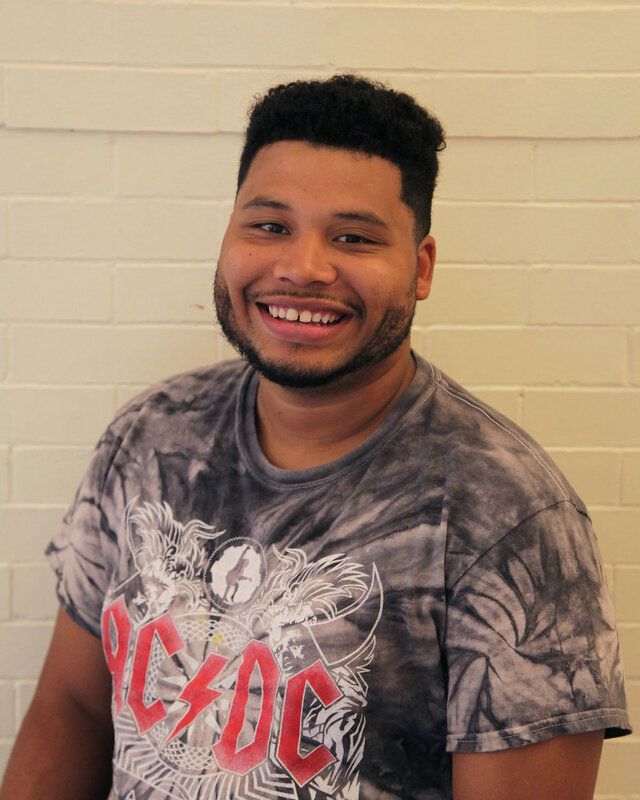 Ruben Contreras is excited to be back at Mundo Verde and hopes serve students and families in the best way he can, with cool vibes and charisma. 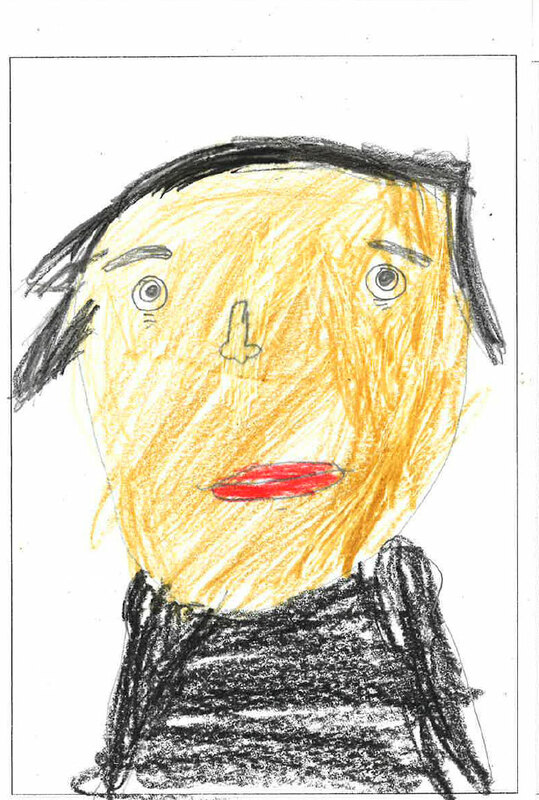 He has worked in educational settings for over 2 years. He is happy to continue working with the same class as in the 2015-2016 school year (current 4th graders). Prior to Mundo Verde he worked at a car dealership, since his passion has always been driving cars. 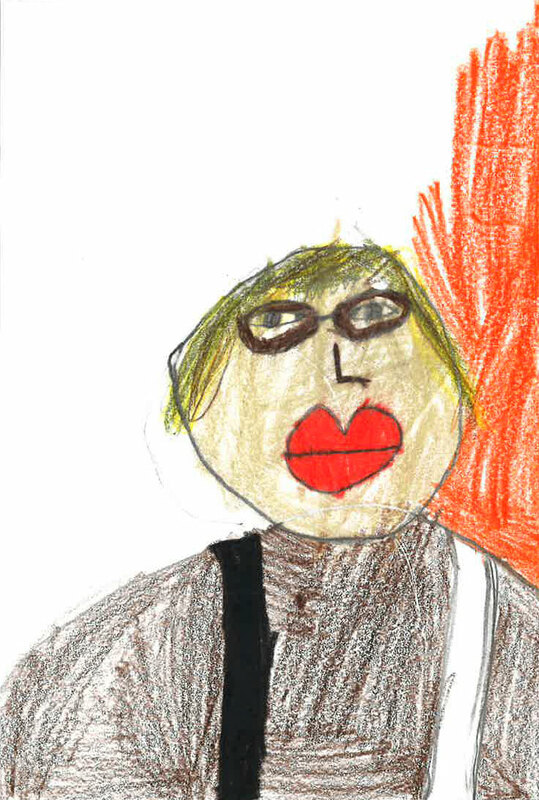 In his free time, Ruben enjoys learning about music production and going to musical events. Ruben was born and raised for 9 years in El Salvador, and finished his schooling in Washington DC where he has resided for 12 years. Samantha joined Mundo Verde in August of 2015. Before working with children she was working in retail for about 3 years and thus has ample experience in customer service. She is very passionate about helping others and spreading positive vibes. She enjoys going on nature walks and jogging. Samantha is the youngest of 4 siblings and was born in Washington DC; both of her parents are from El Salvador. Yesmi is very excited to join and work with the Mundo Verde team. She loves working with children and hopes to perform her job well. She would like to help as many children as she can, particularly children in need, as they are society’s future. In her free time, Yesmi enjoys dance. She was born and raised in El Salvador. She received her bachelor’s degree in El Salvador and moved to the United States to continue her studies. .